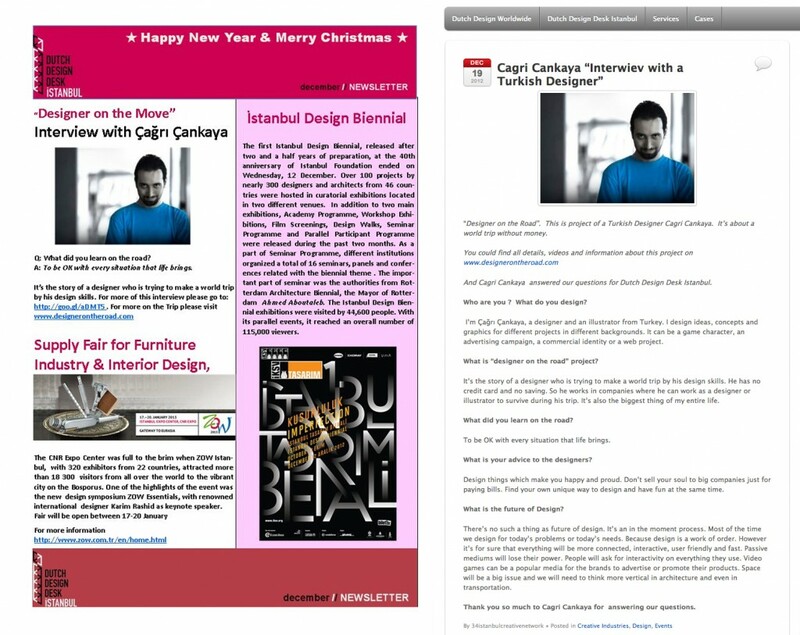 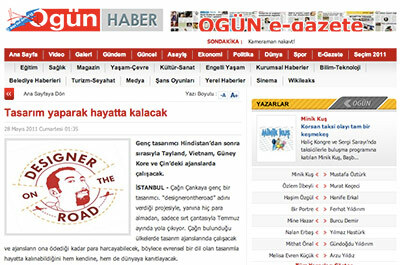 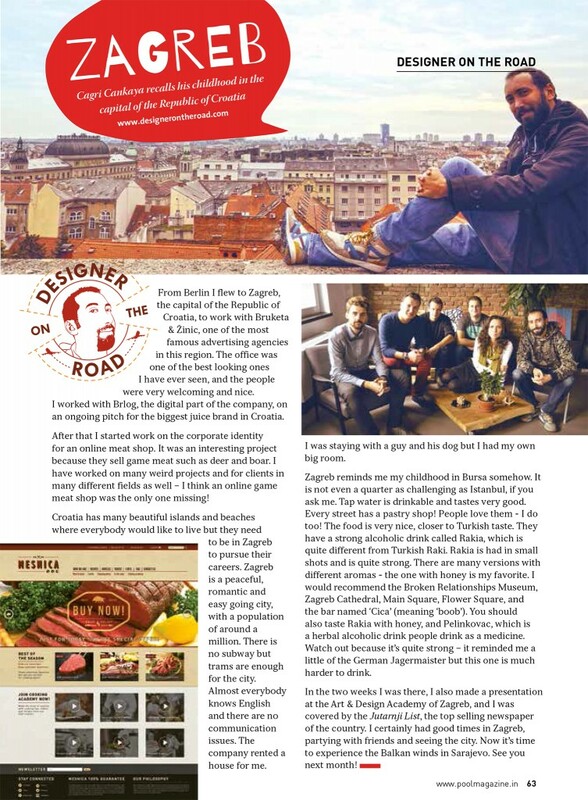 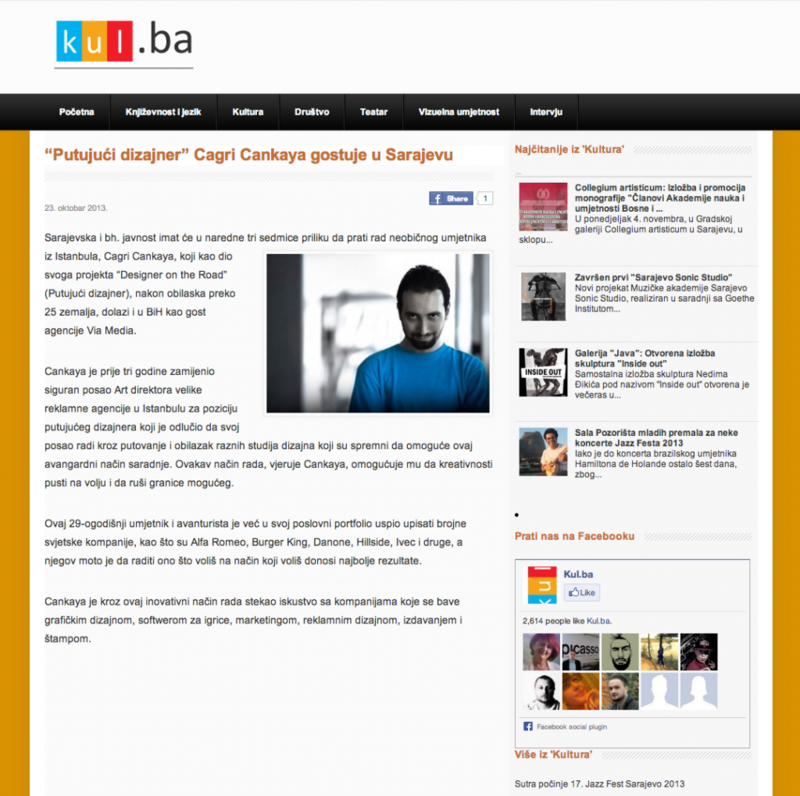 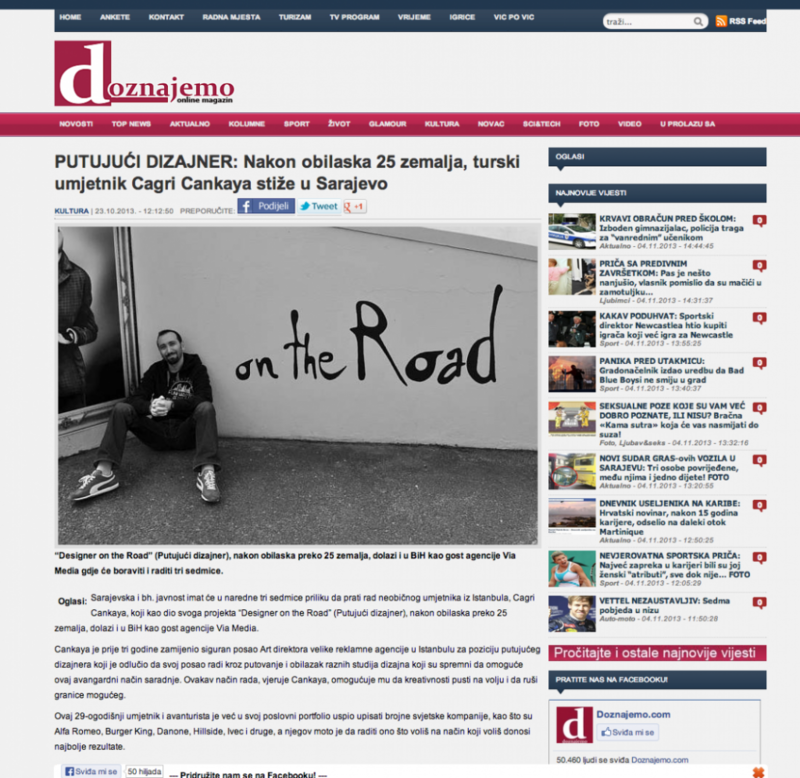 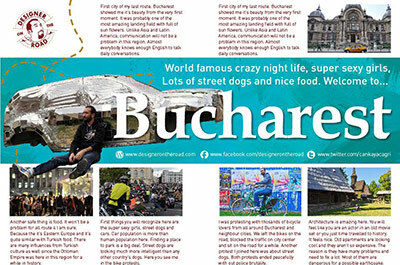 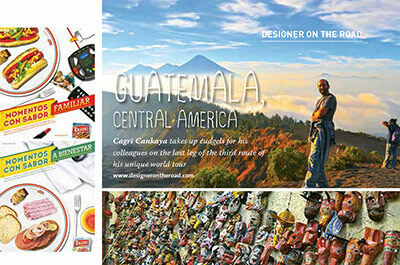 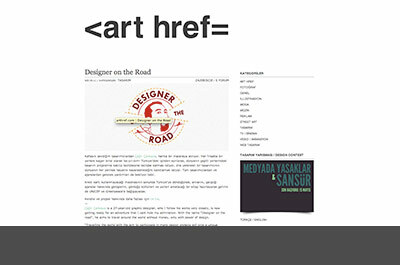 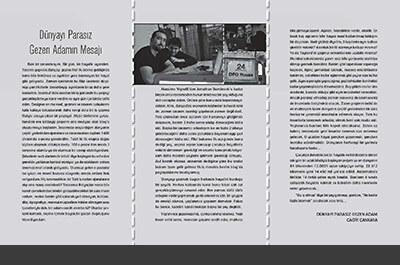 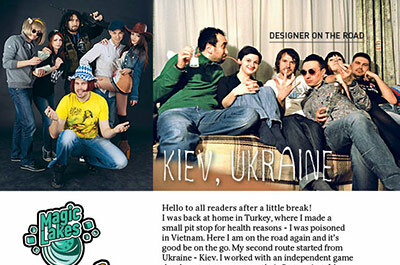 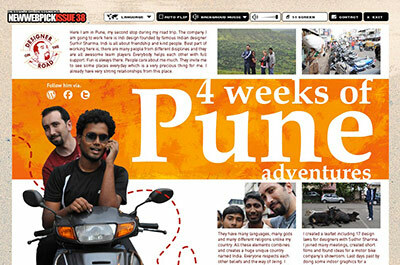 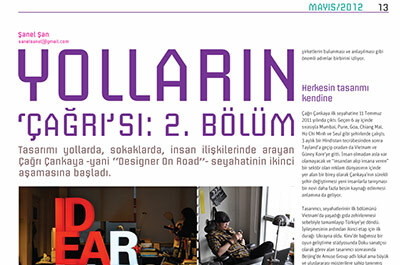 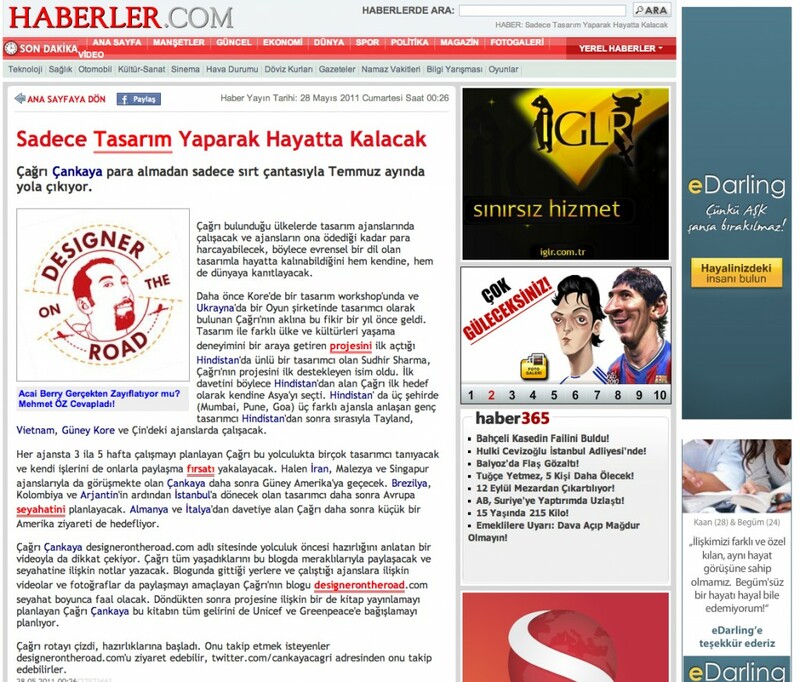 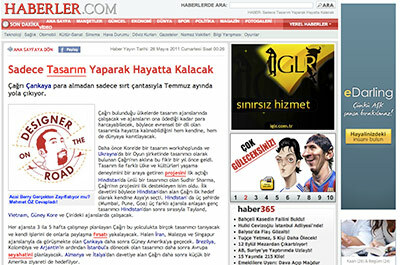 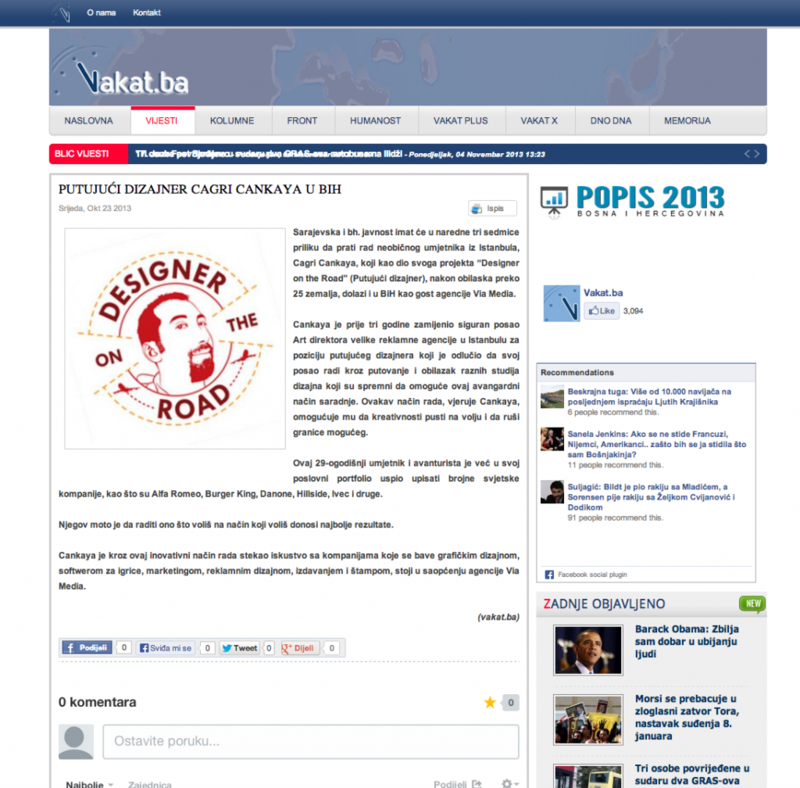 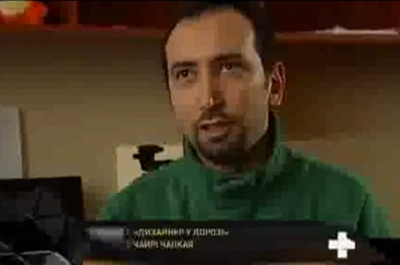 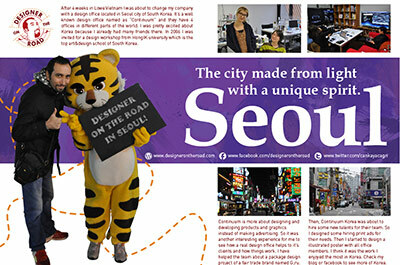 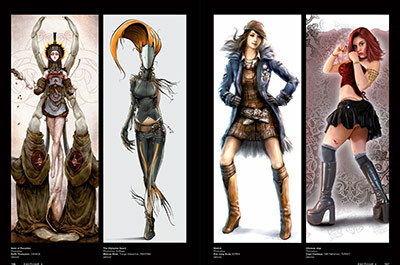 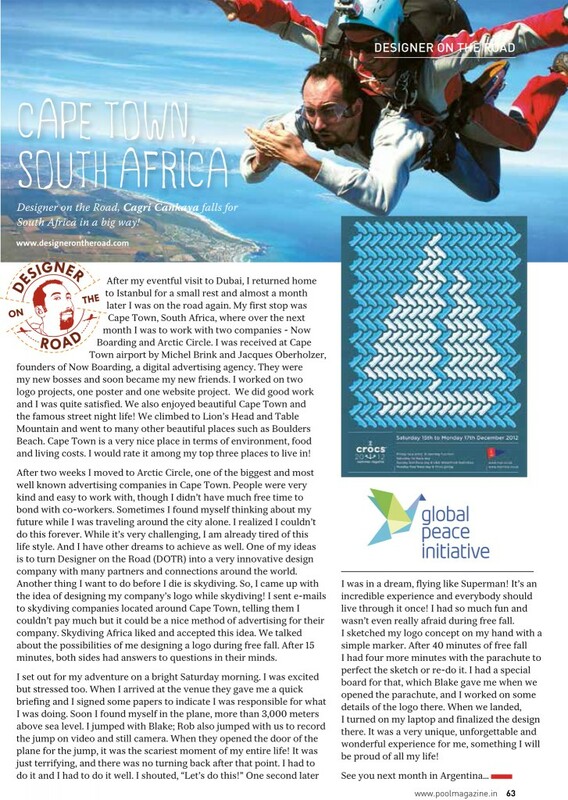 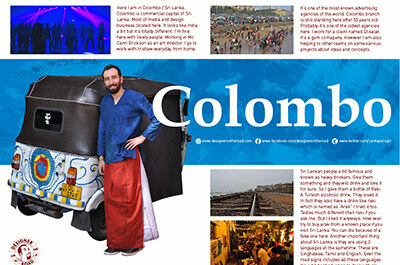 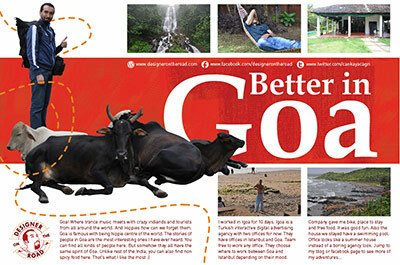 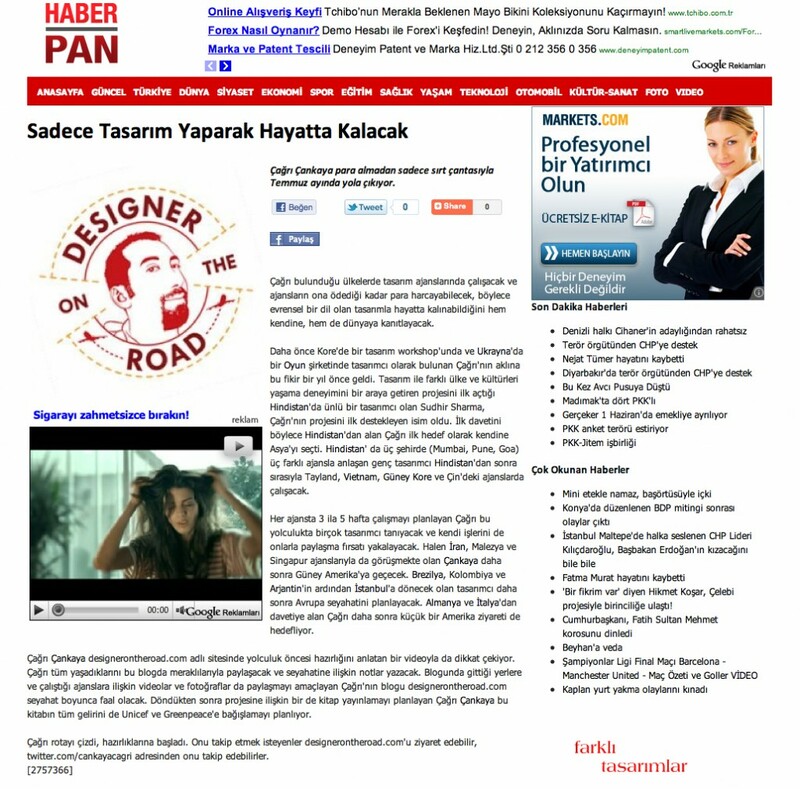 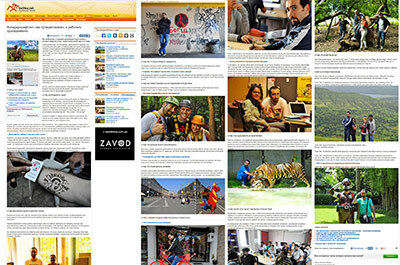 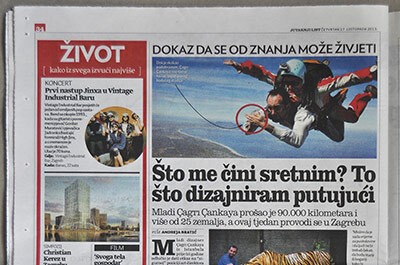 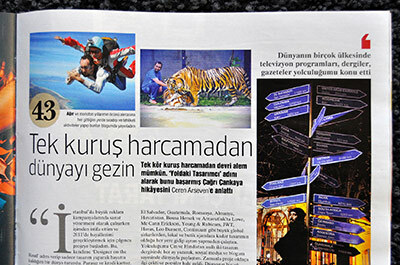 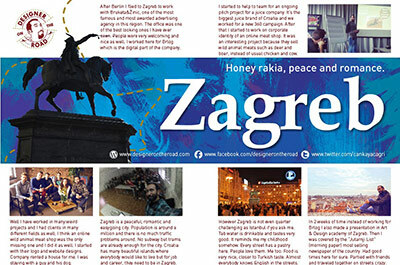 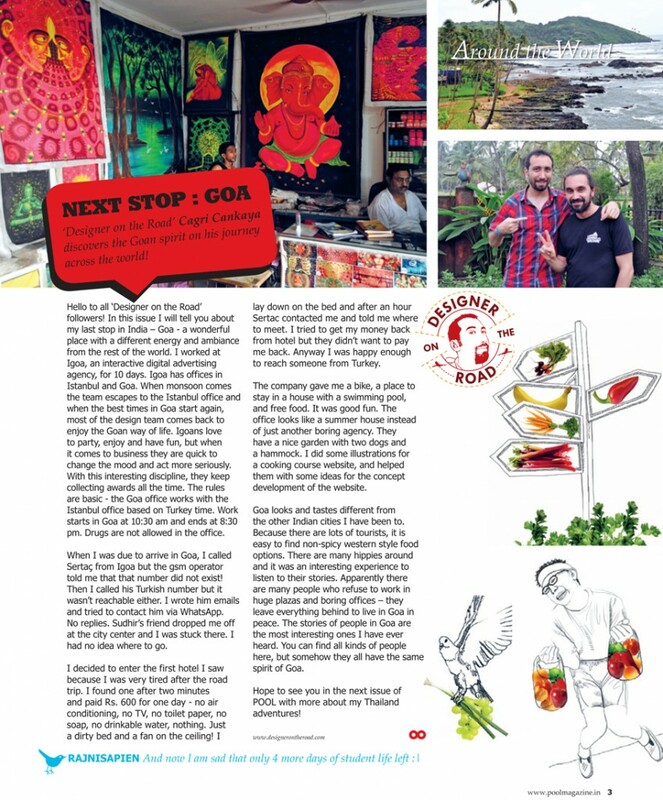 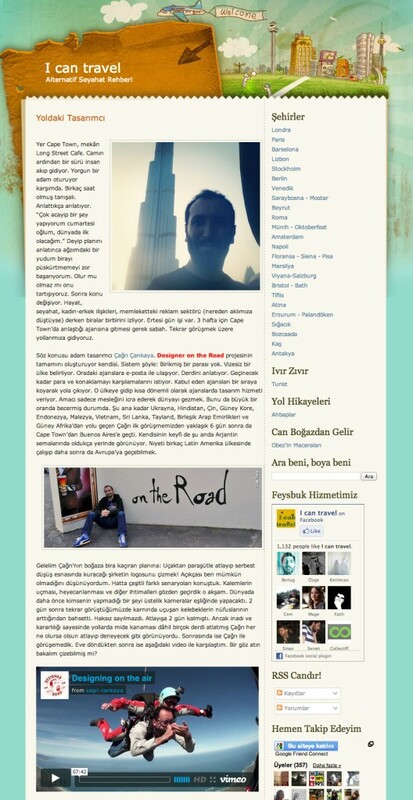 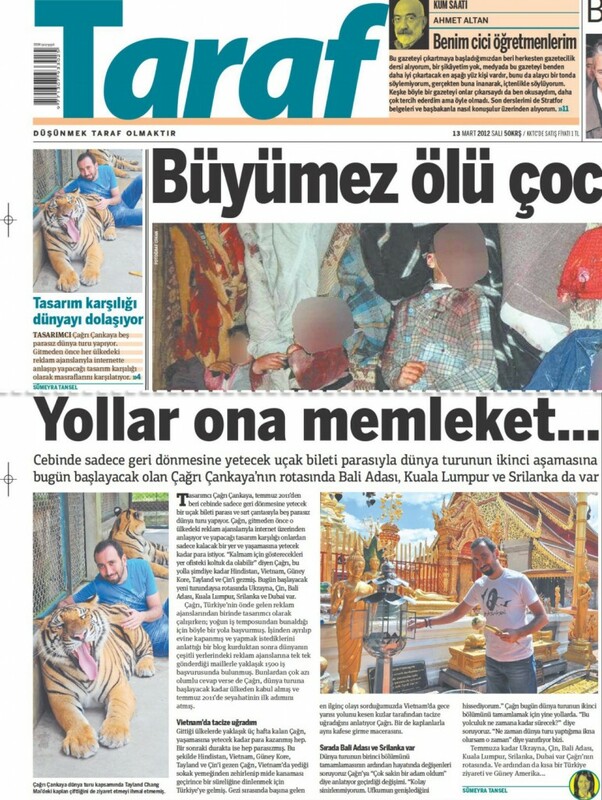 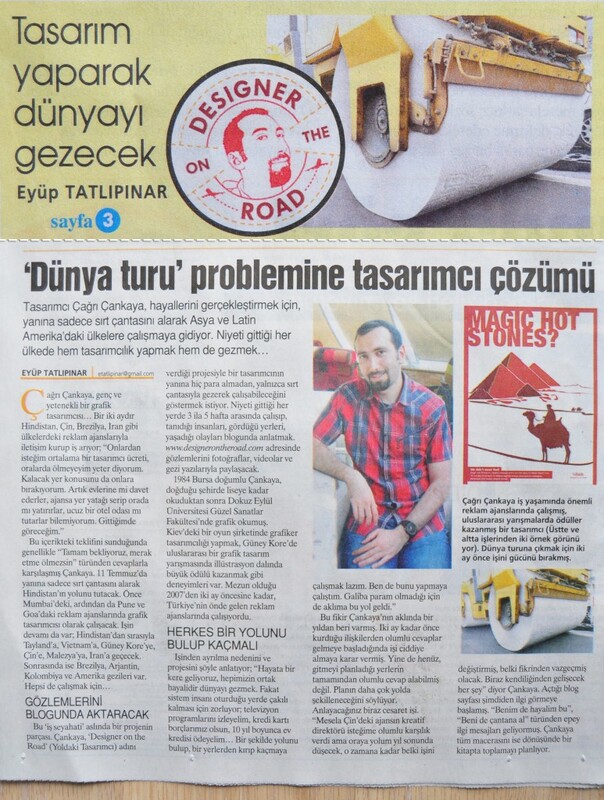 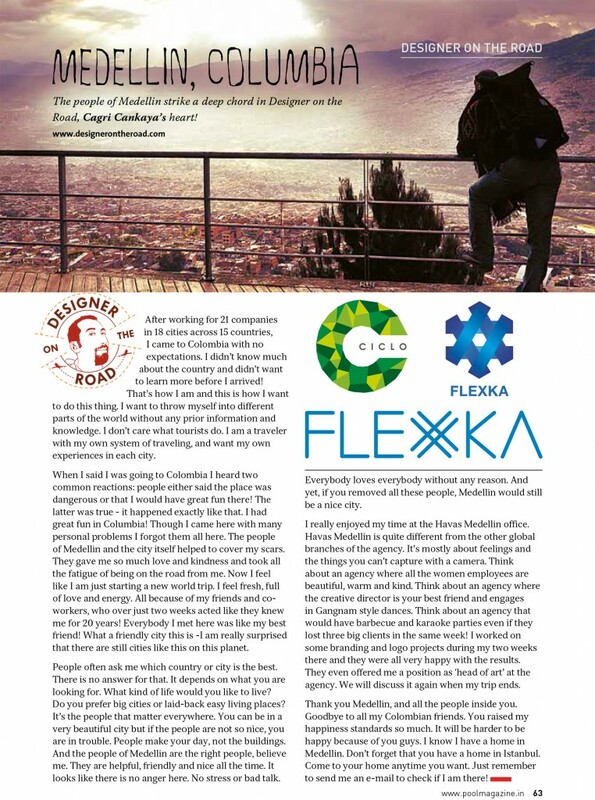 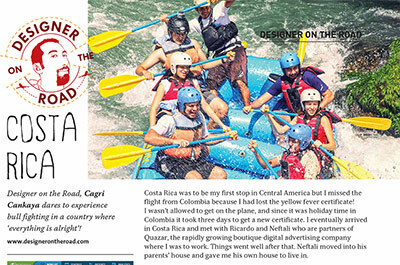 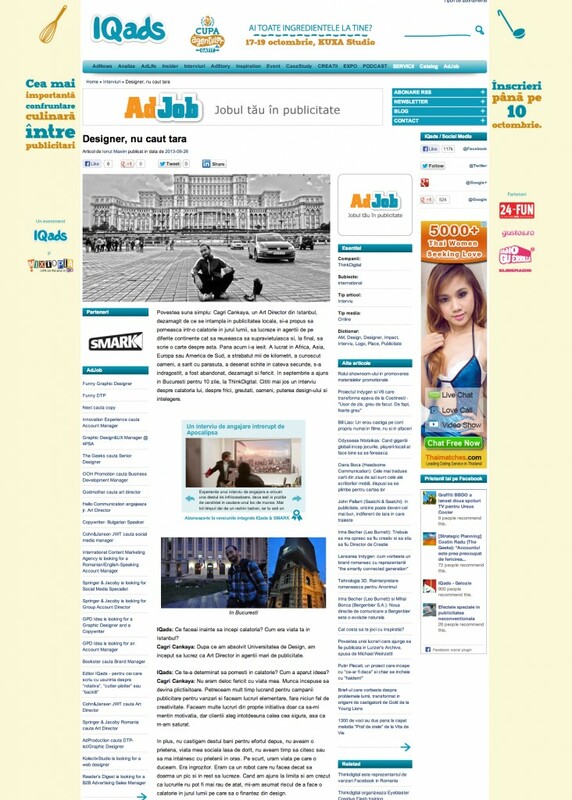 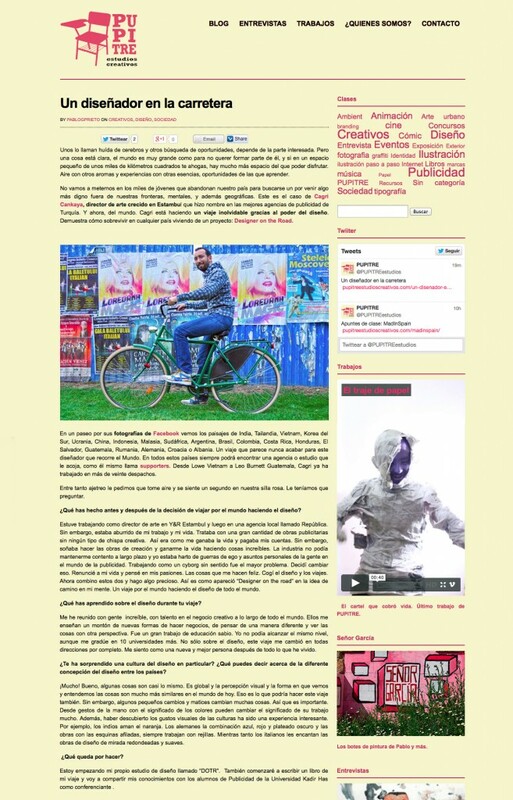 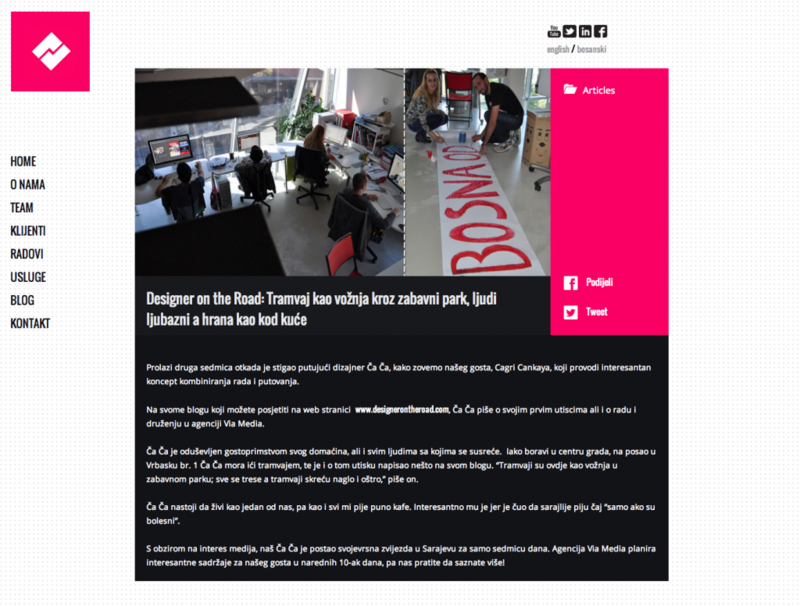 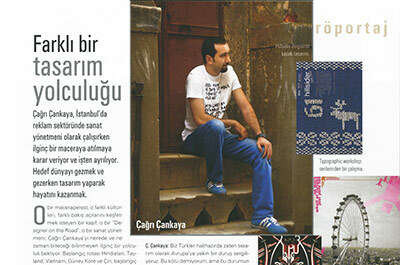 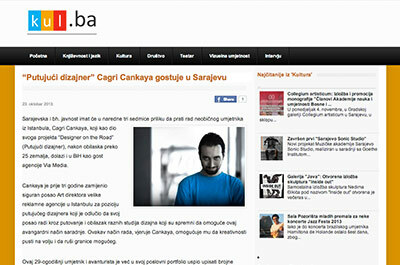 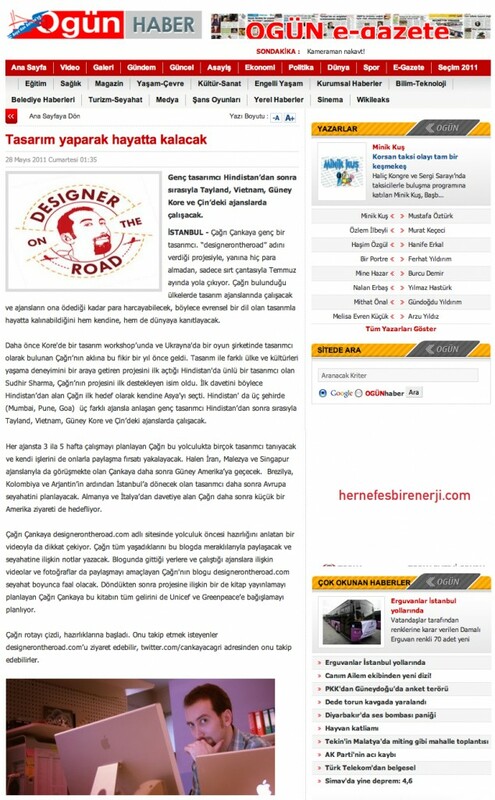 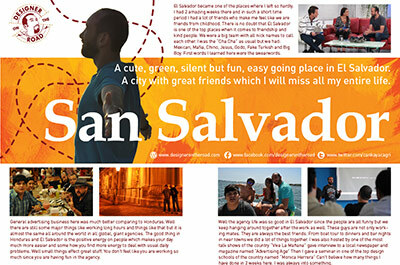 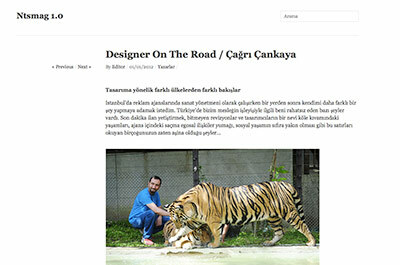 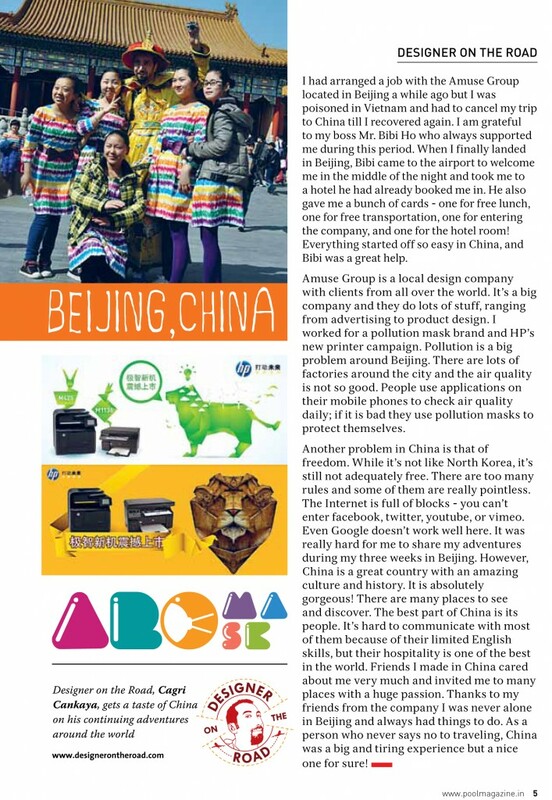 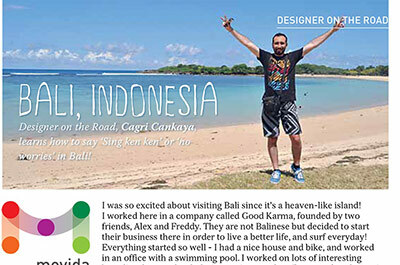 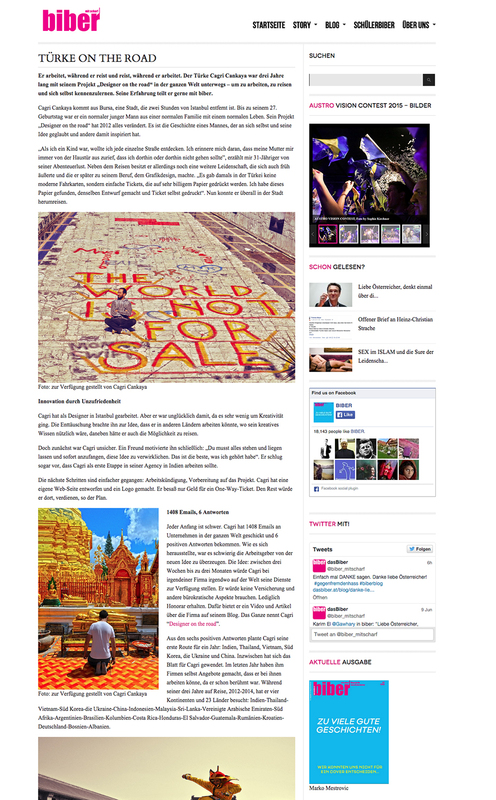 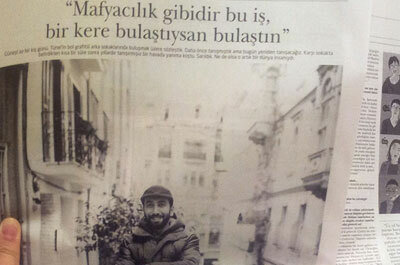 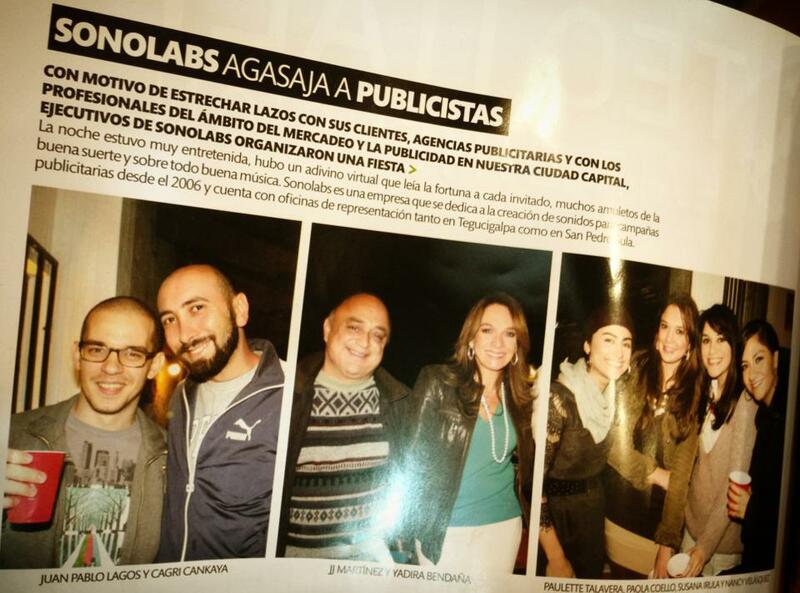 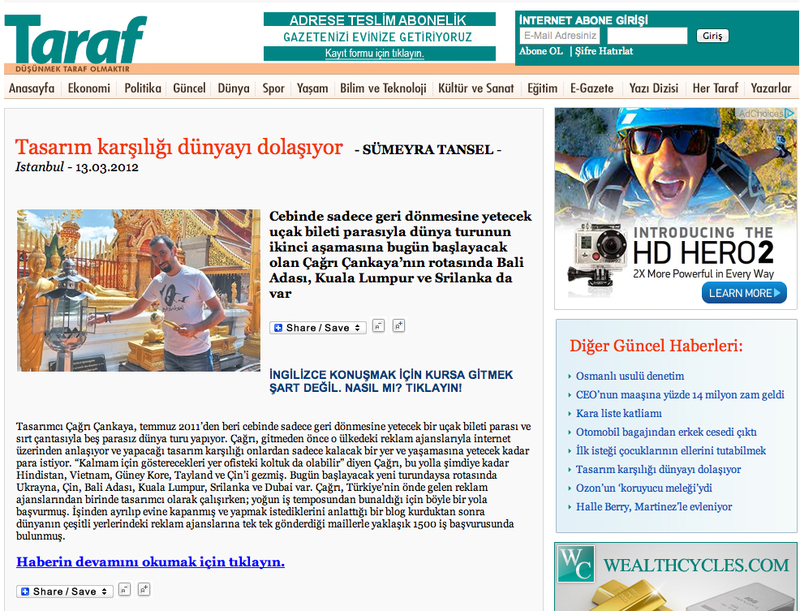 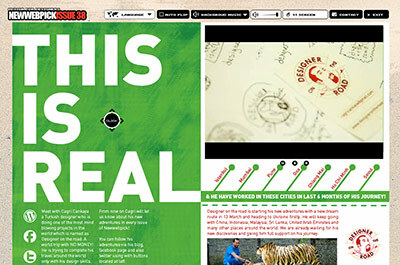 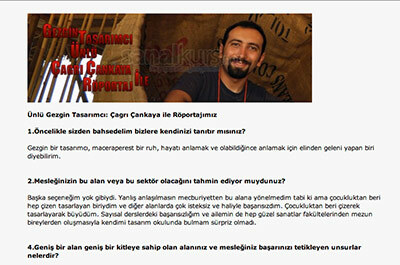 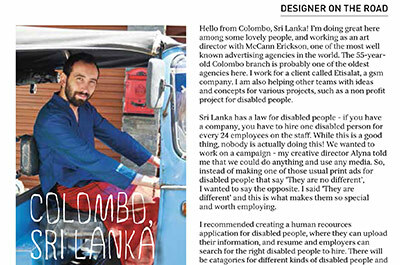 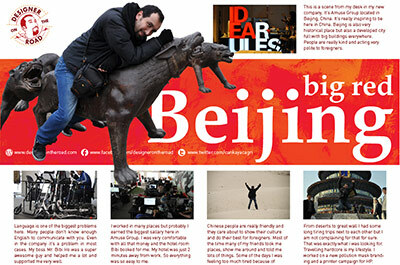 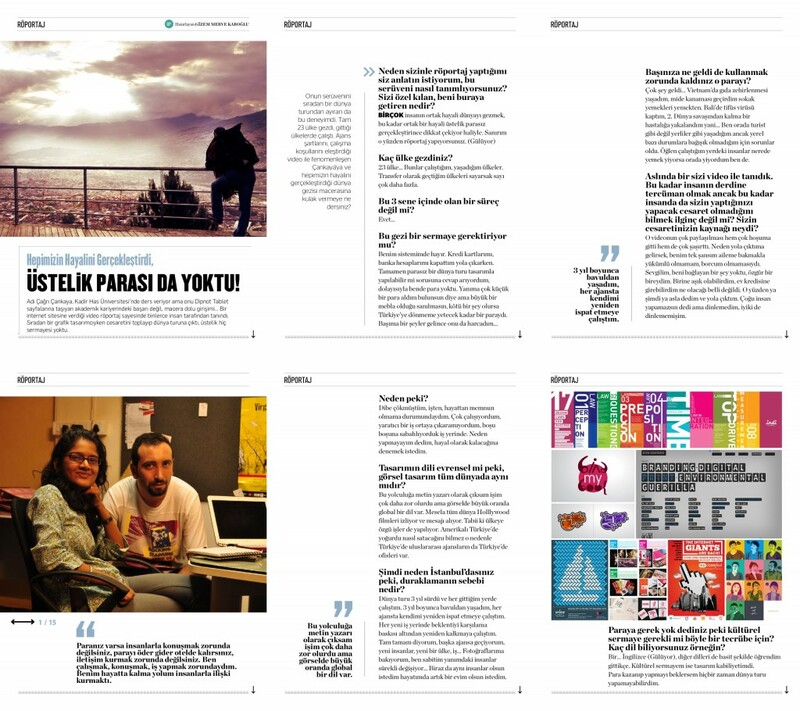 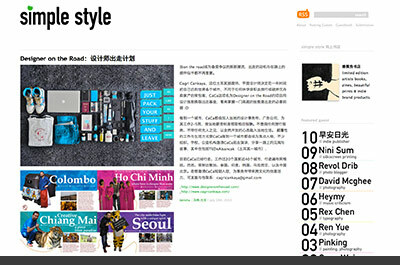 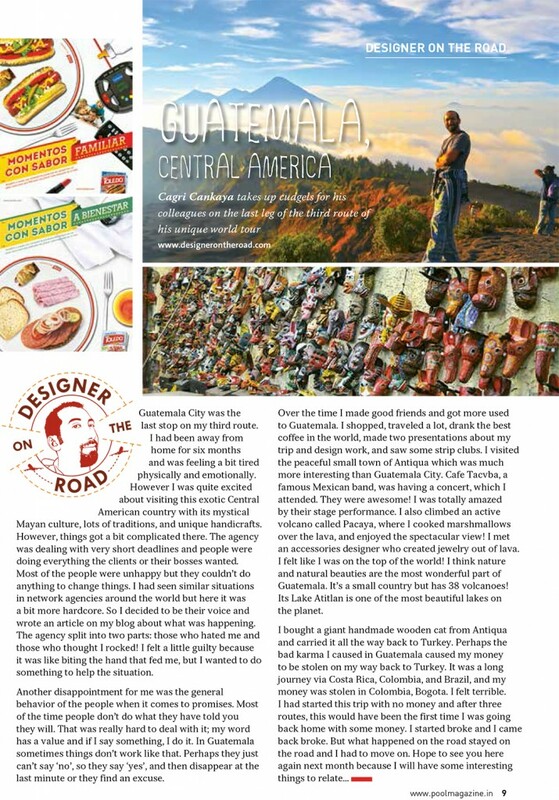 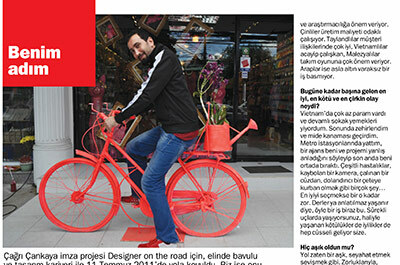 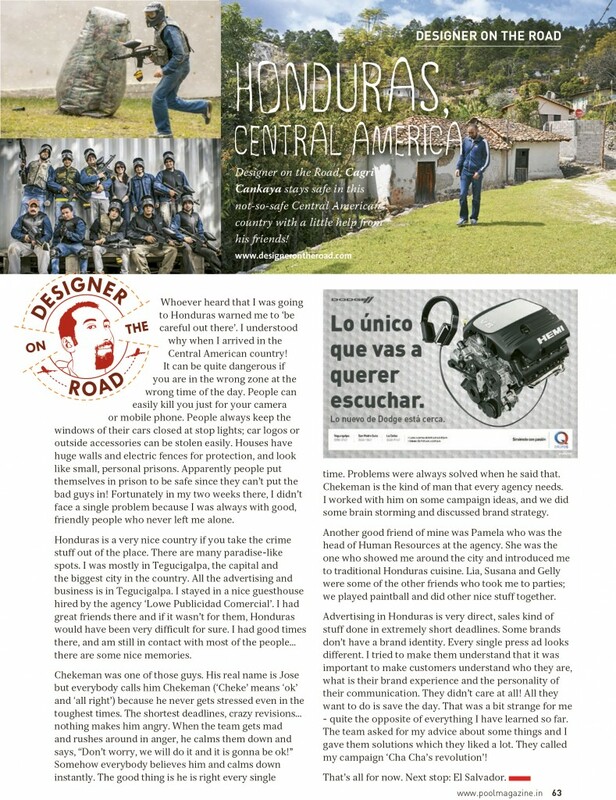 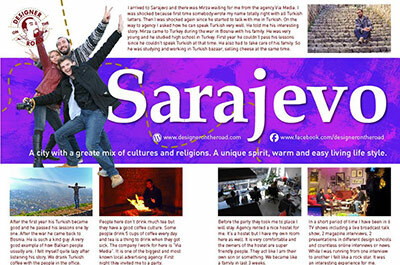 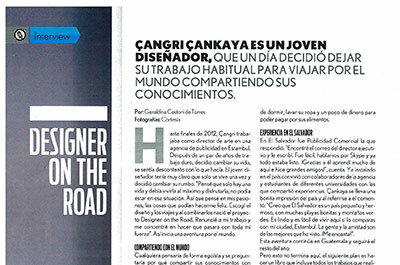 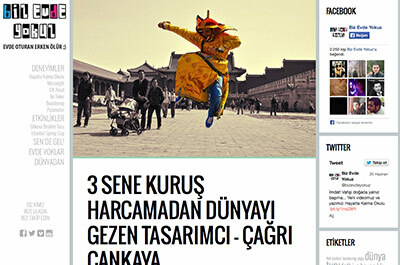 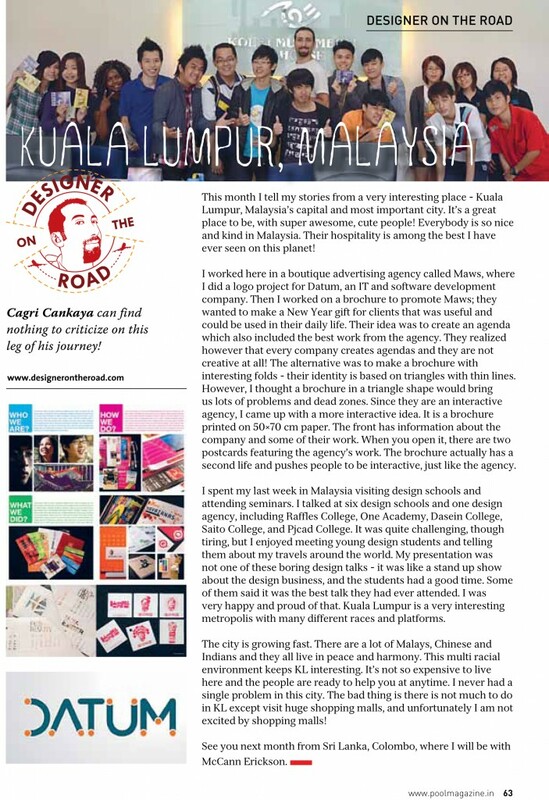 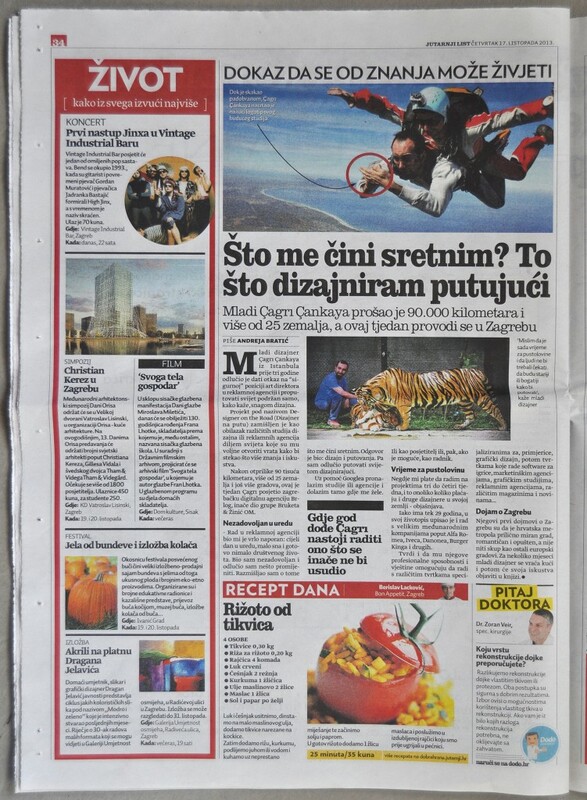 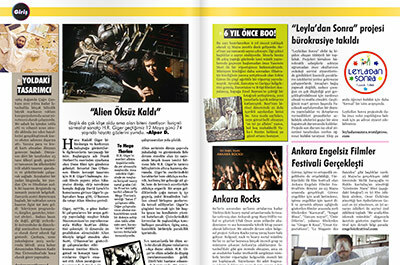 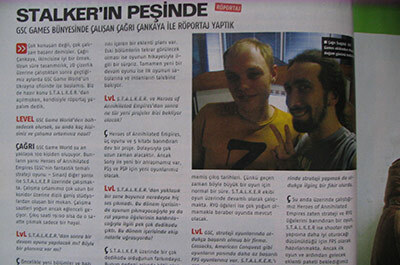 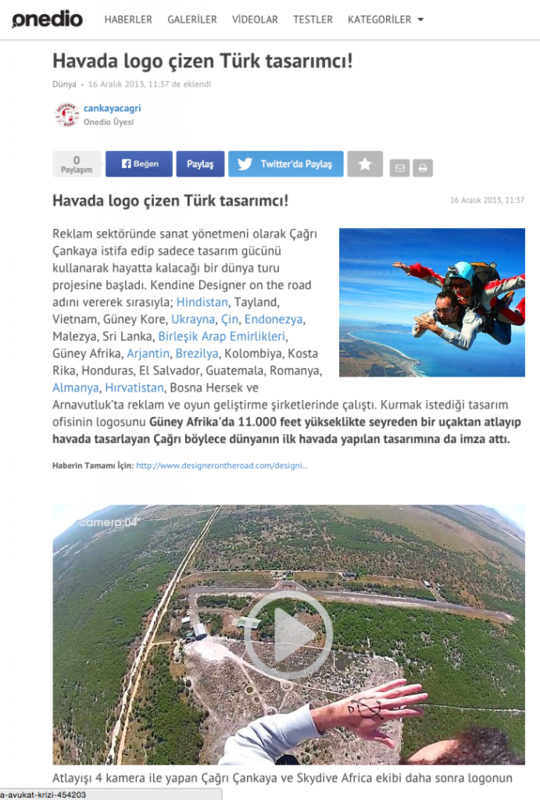 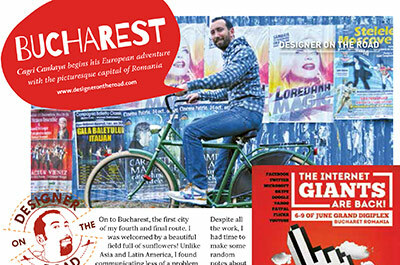 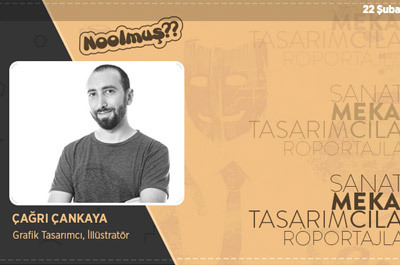 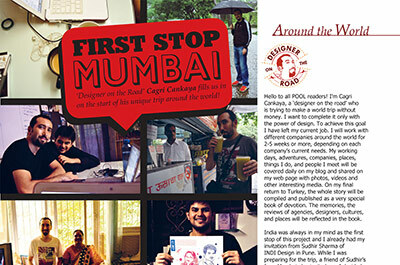 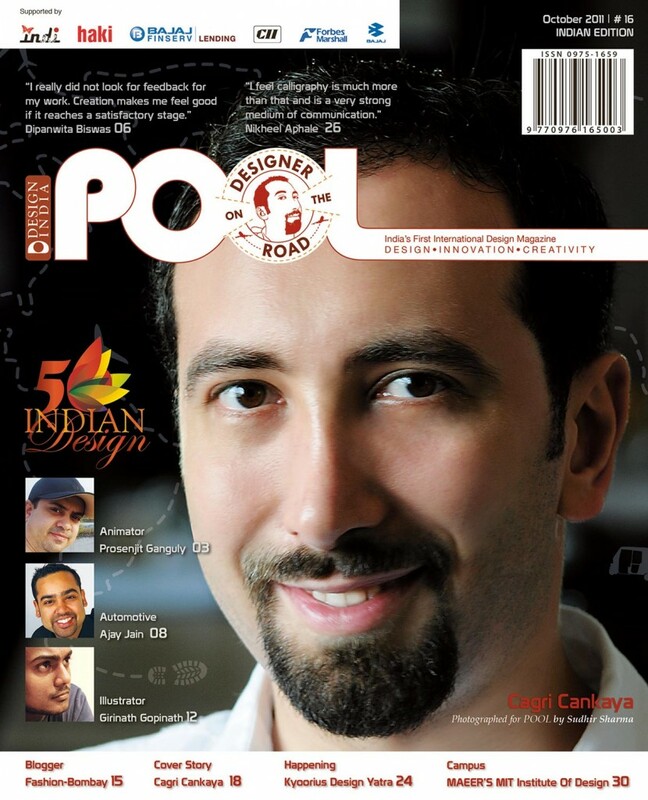 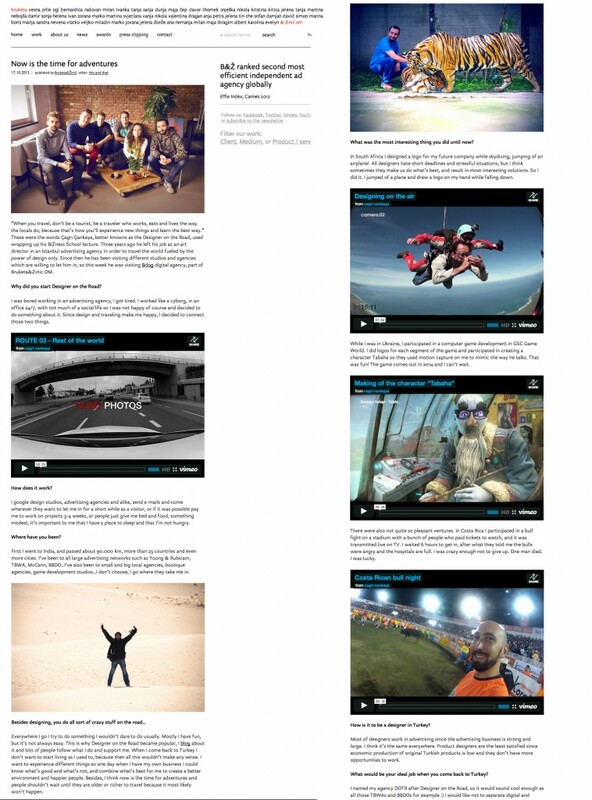 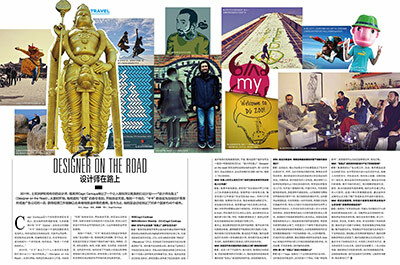 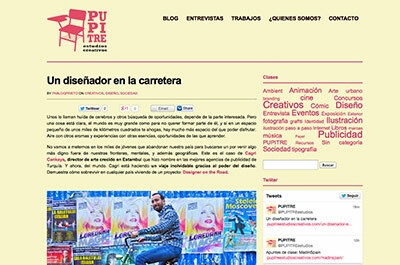 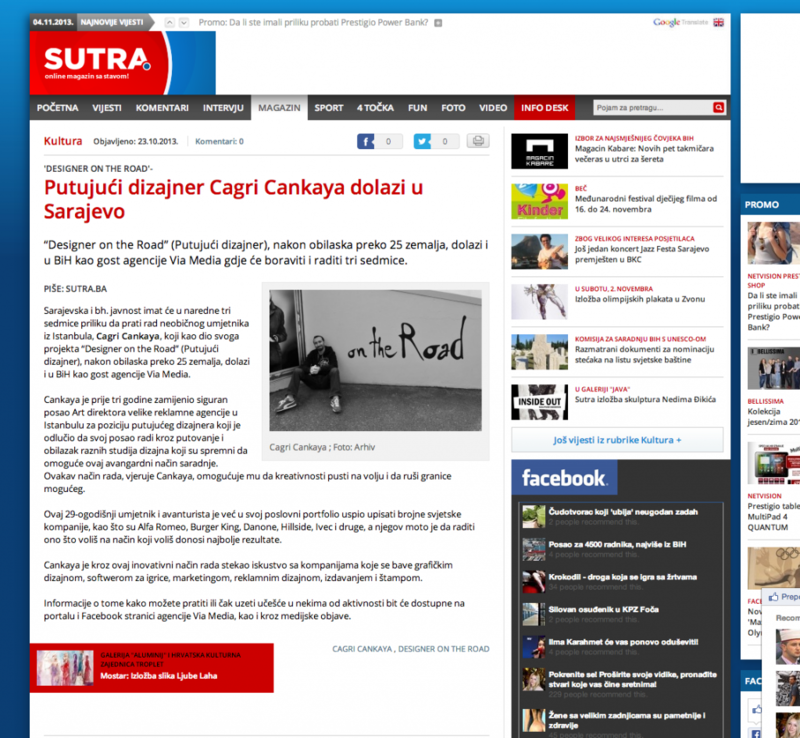 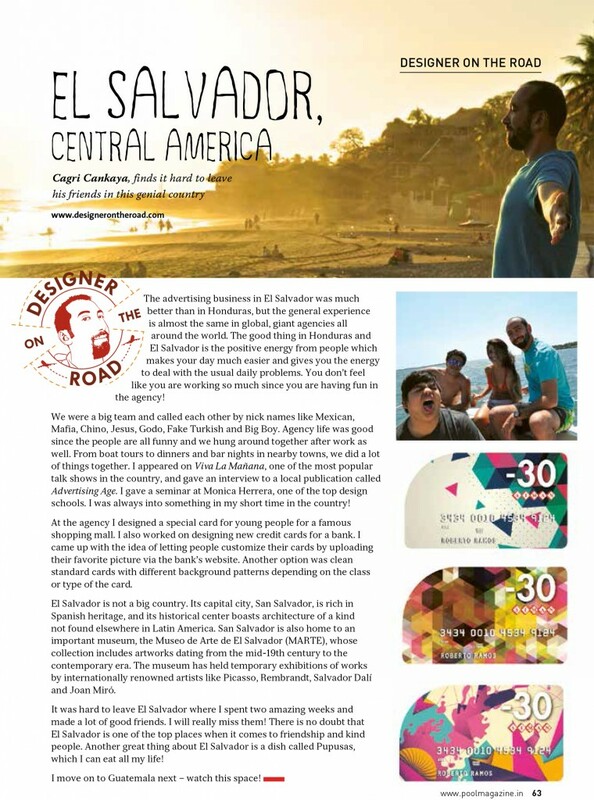 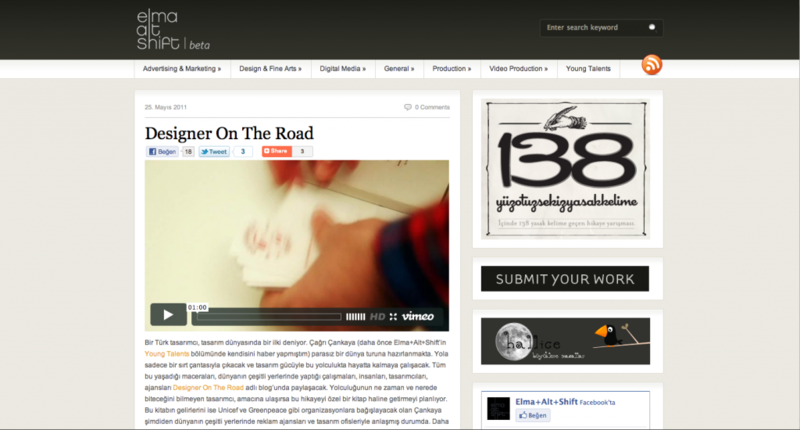 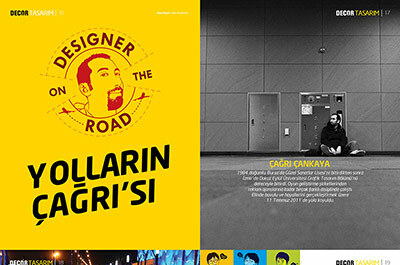 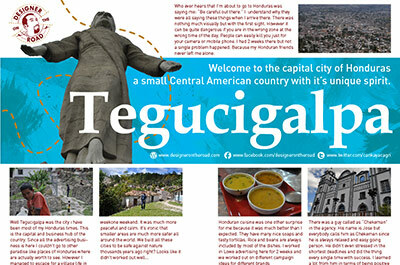 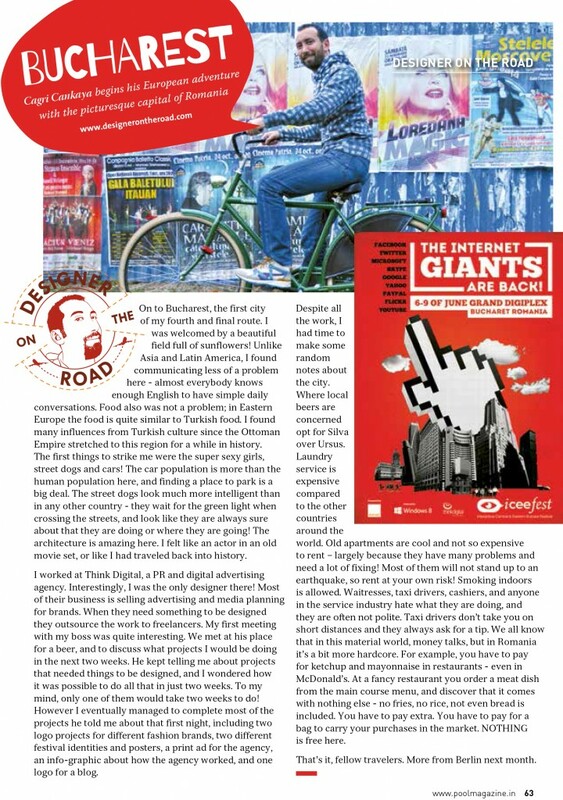 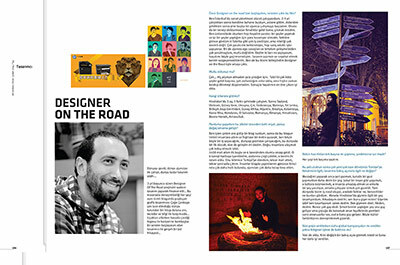 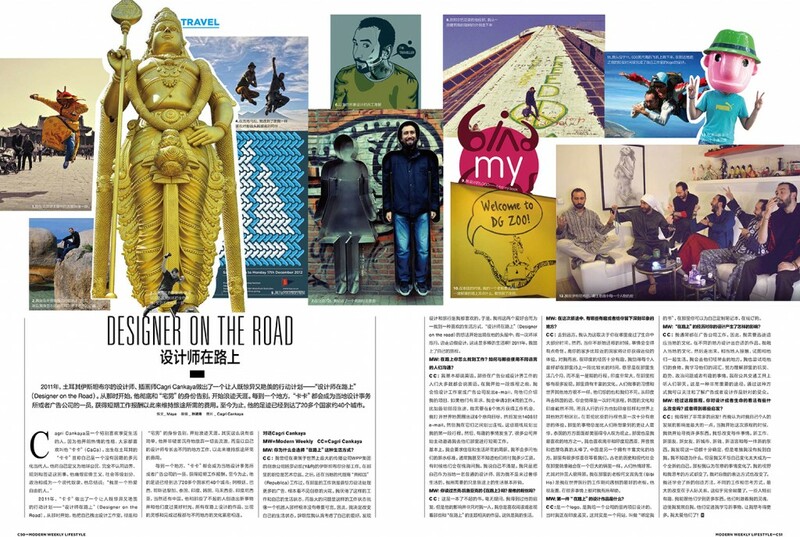 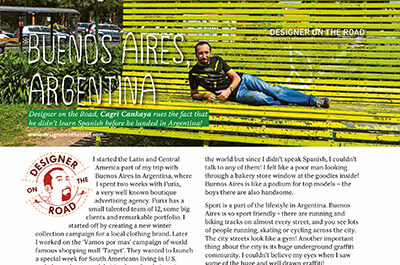 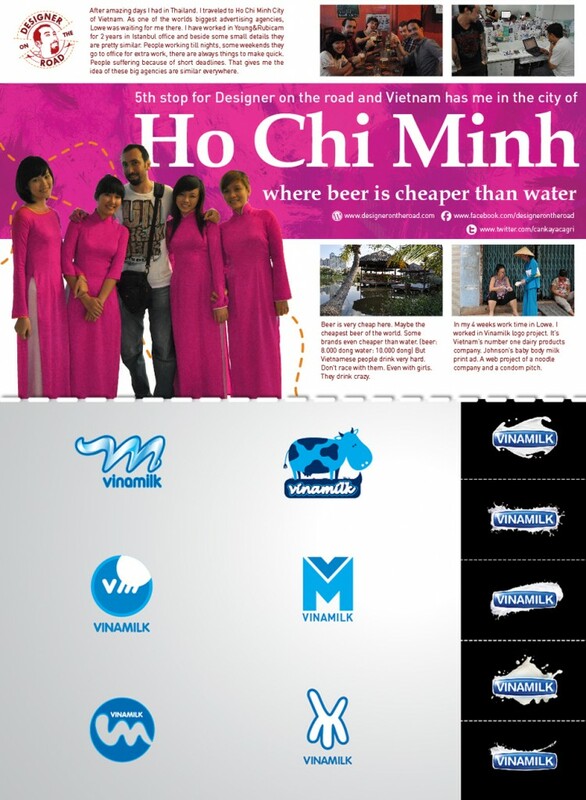 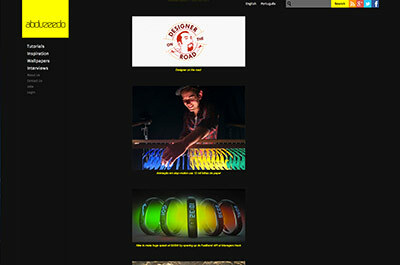 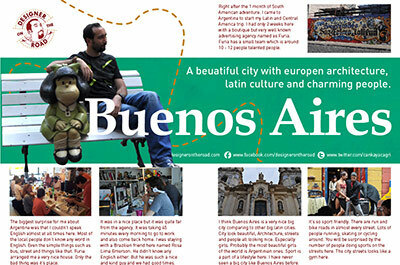 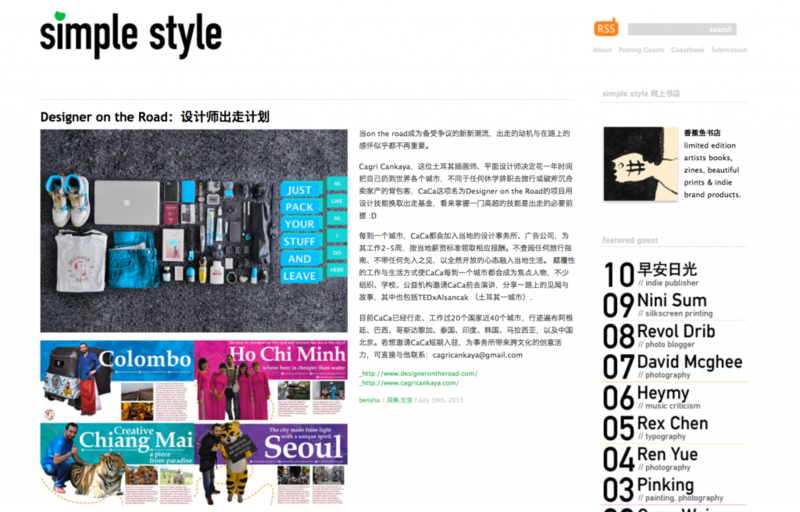 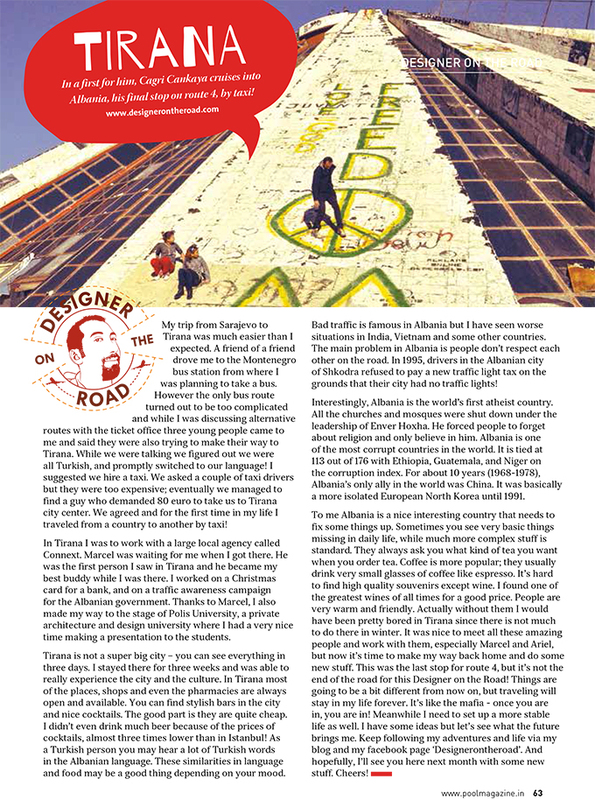 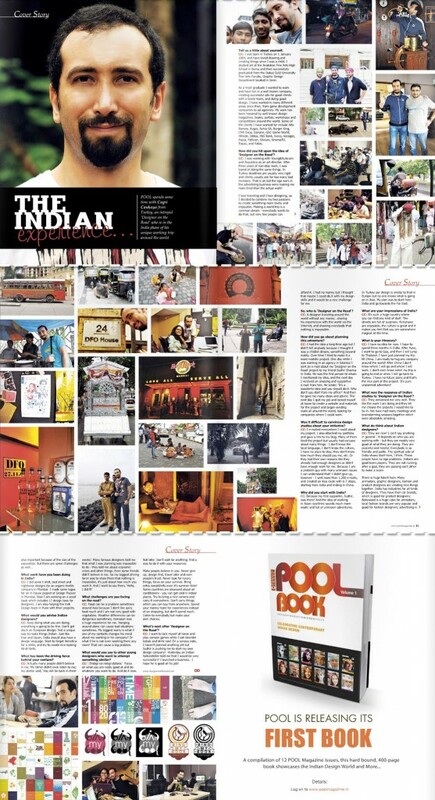 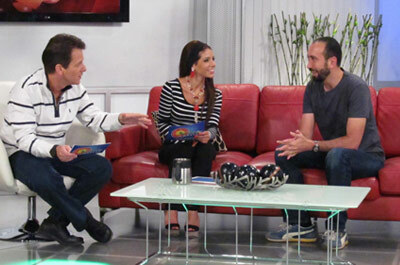 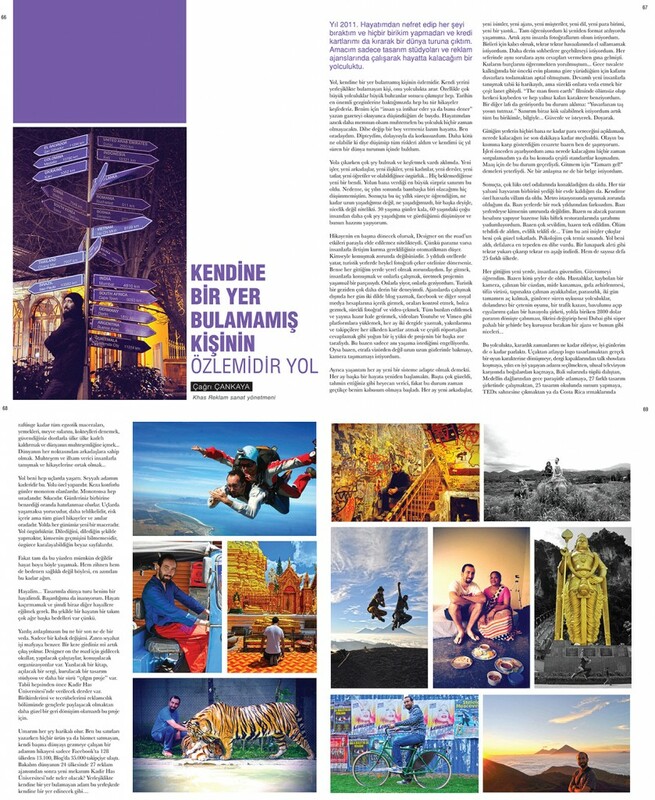 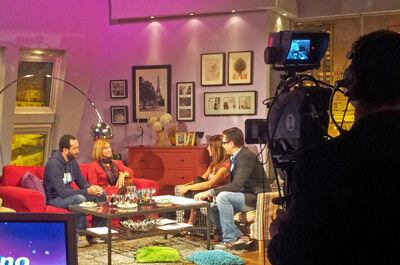 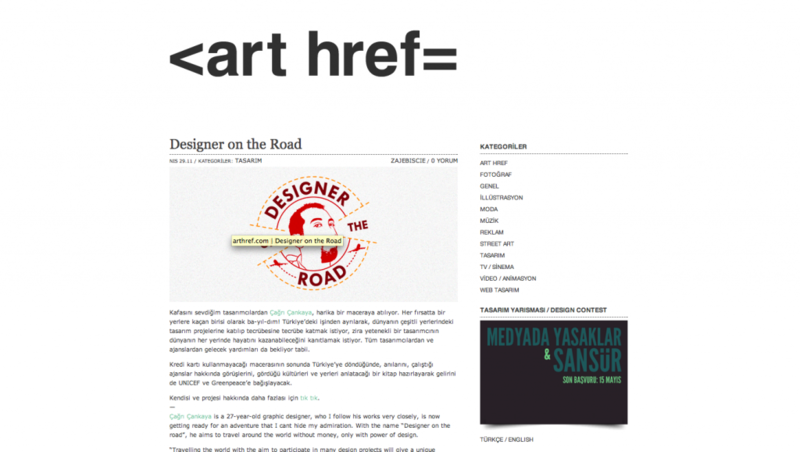 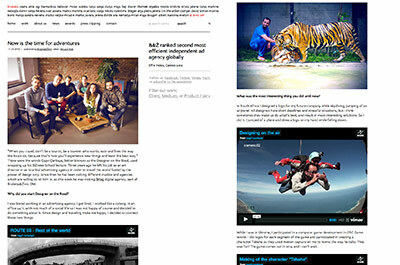 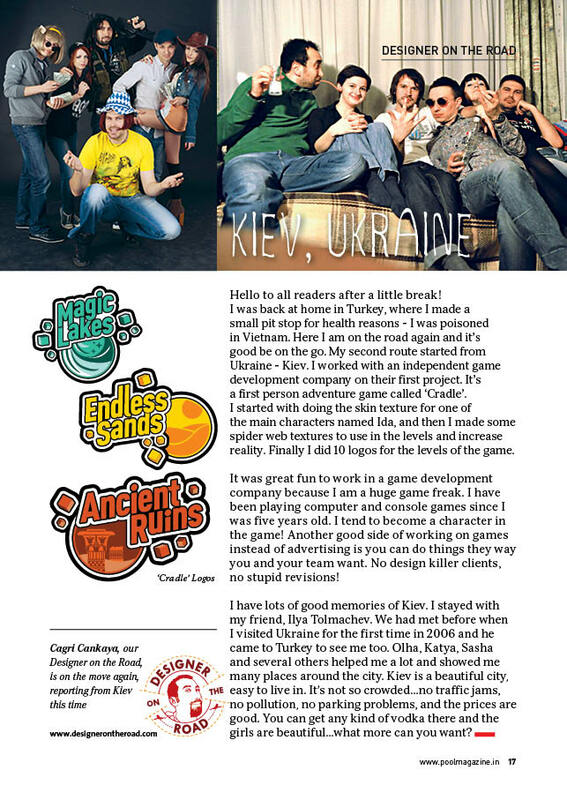 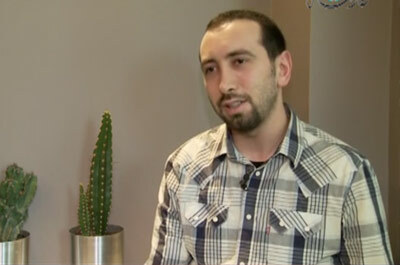 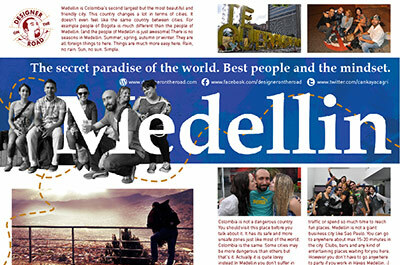 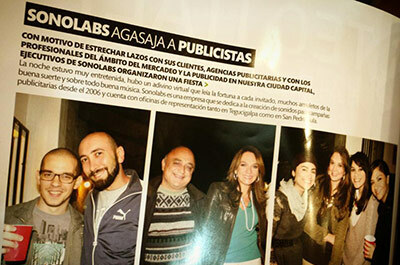 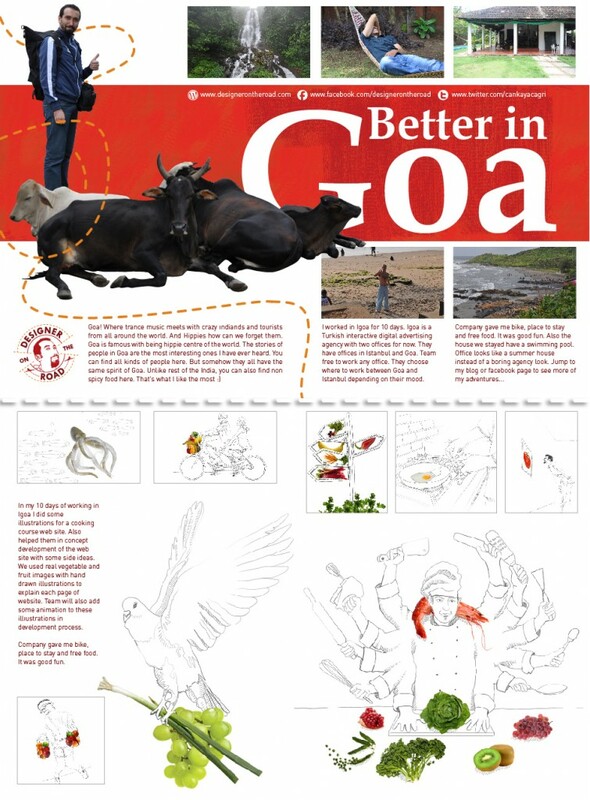 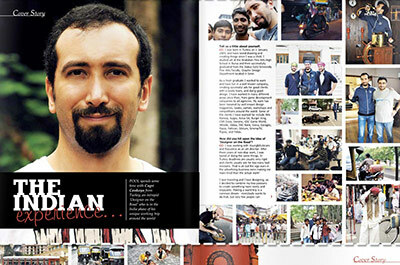 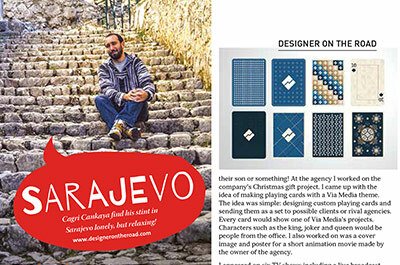 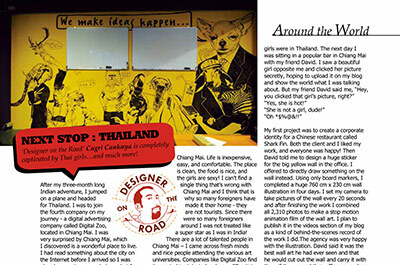 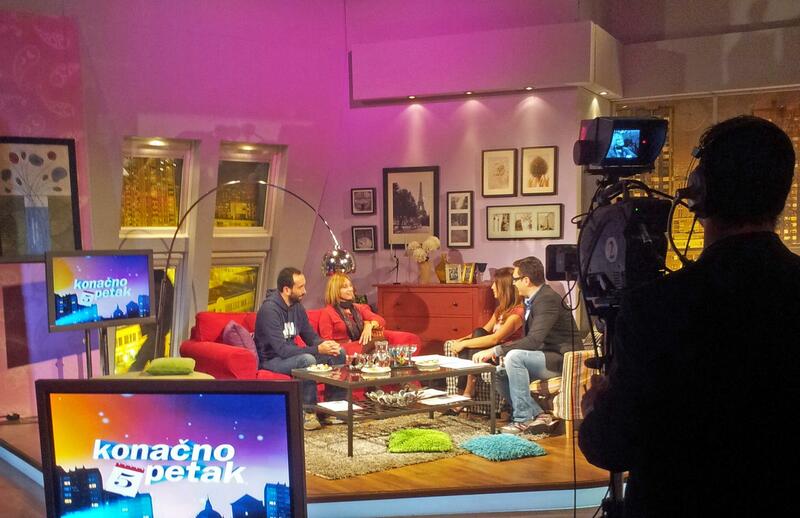 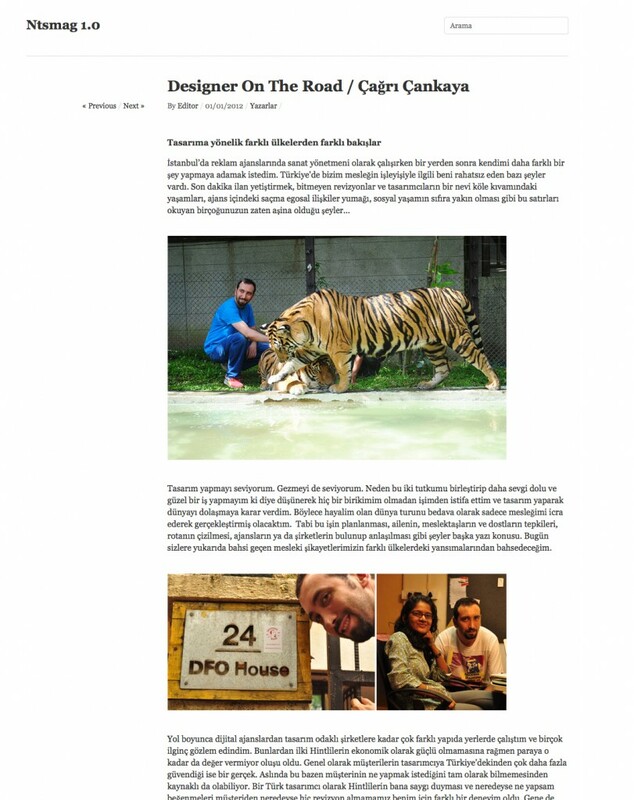 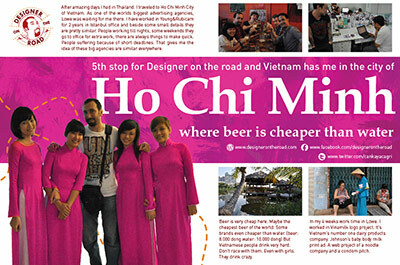 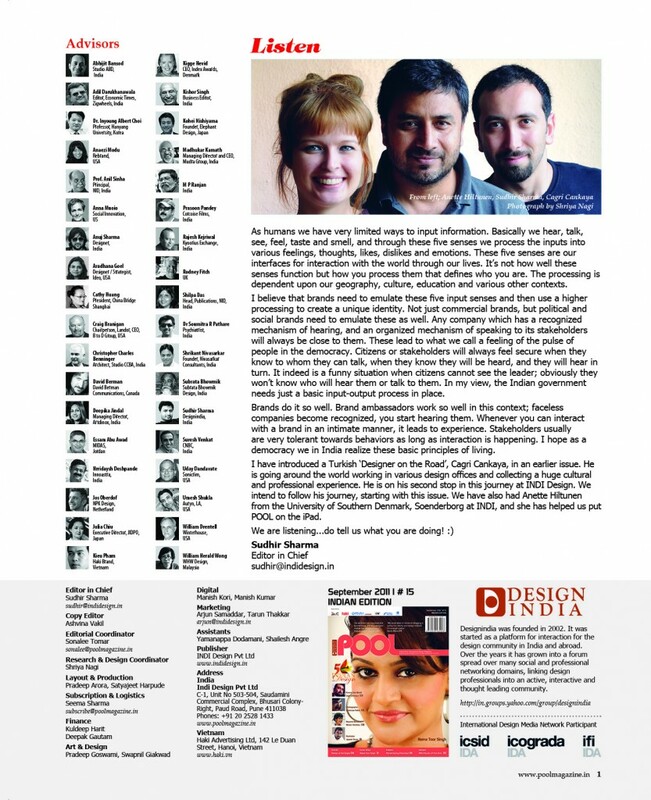 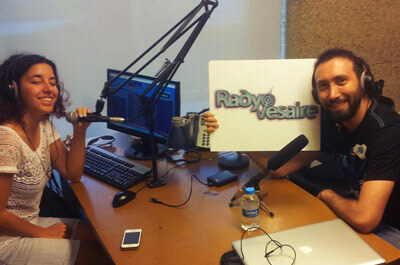 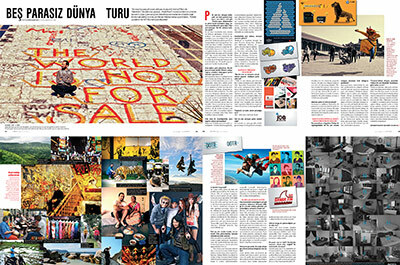 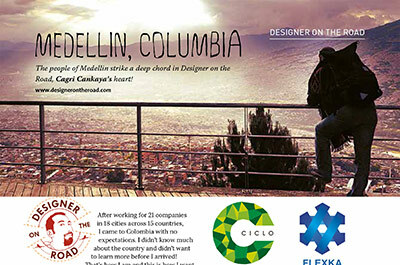 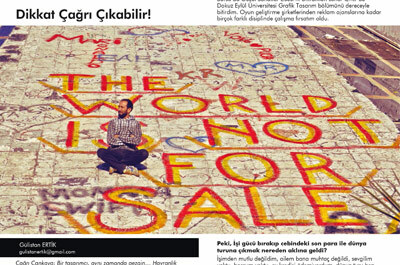 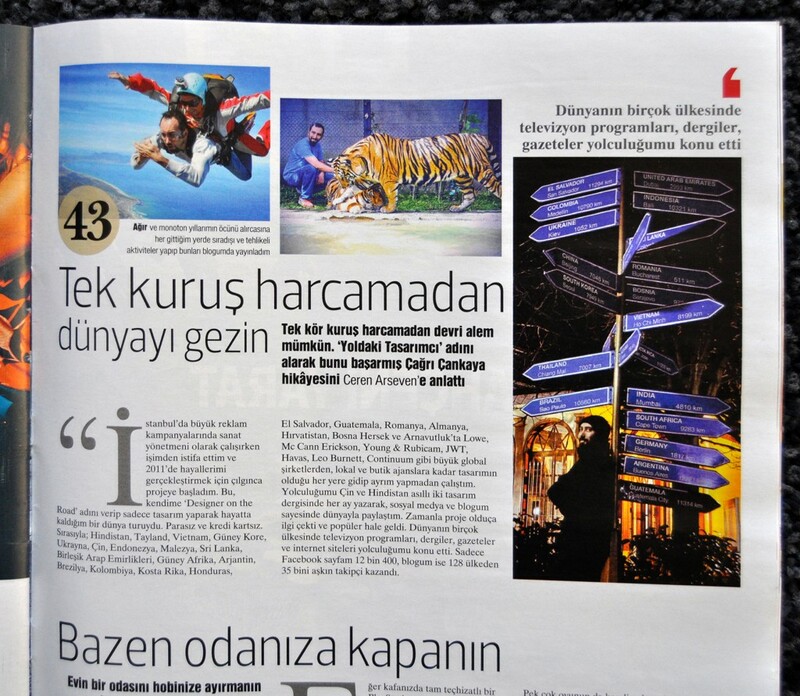 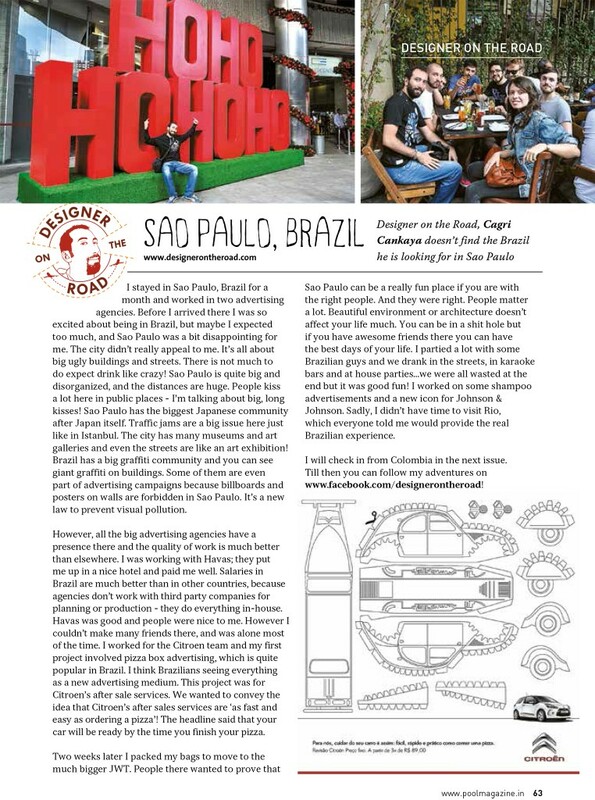 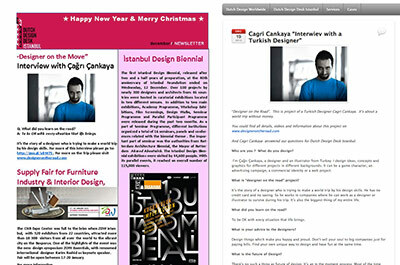 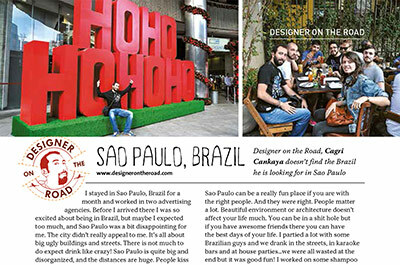 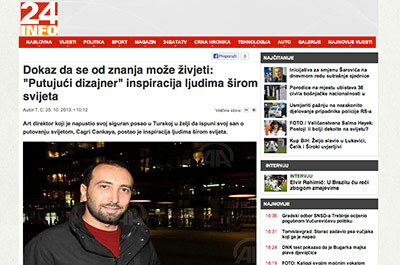 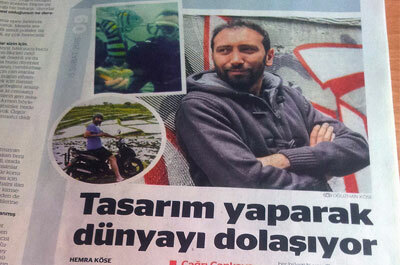 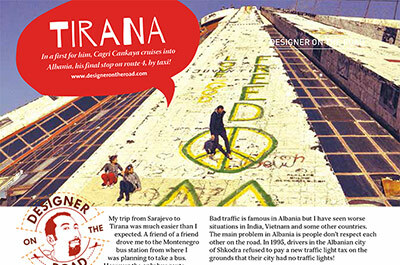 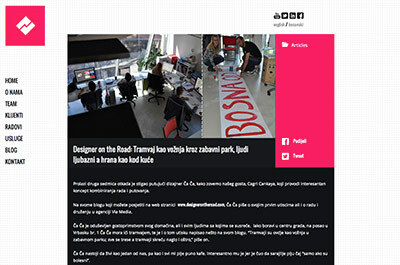 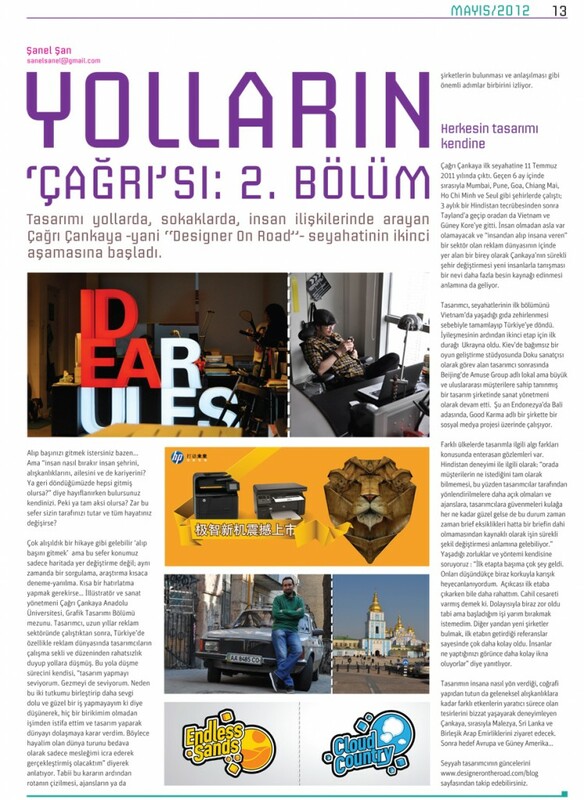 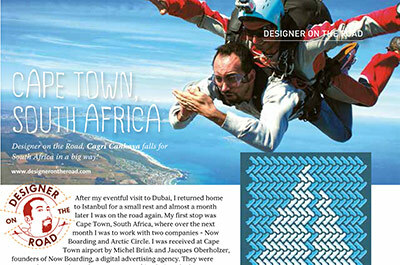 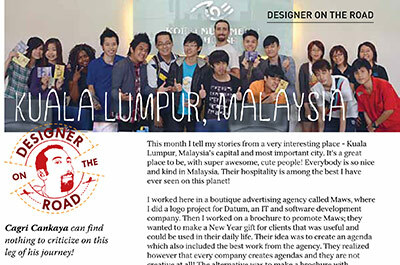 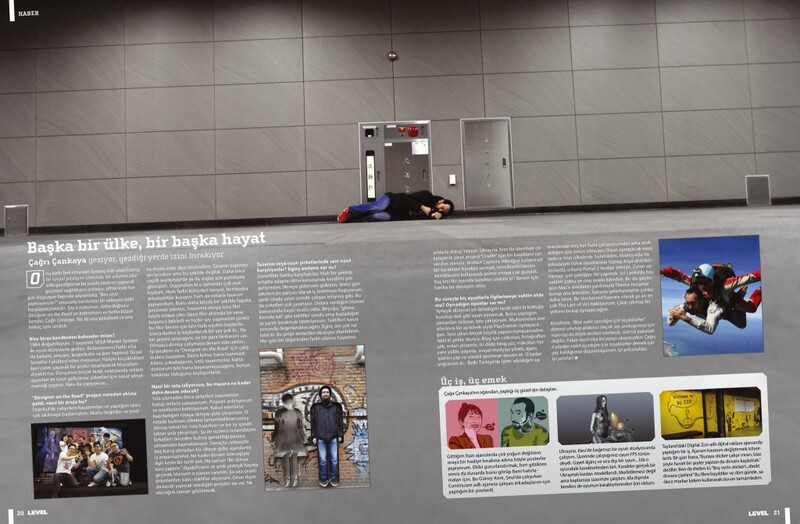 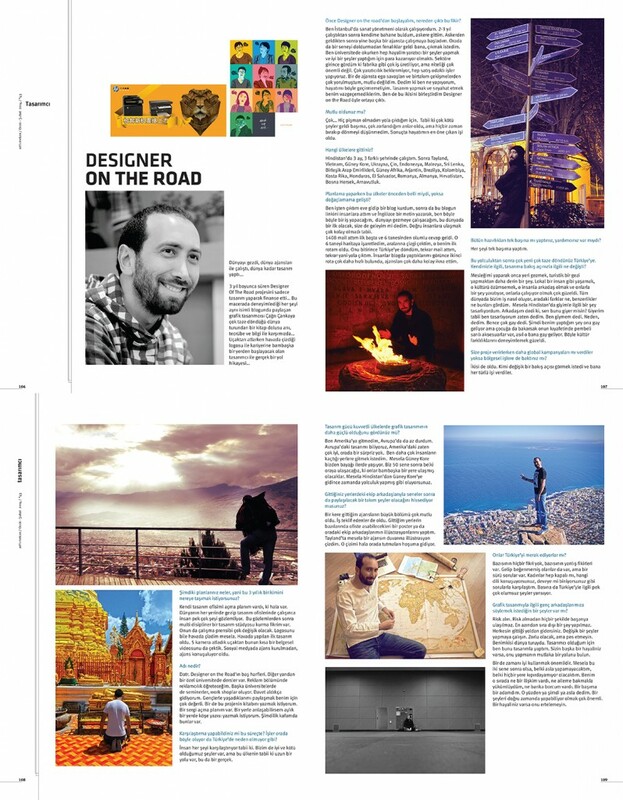 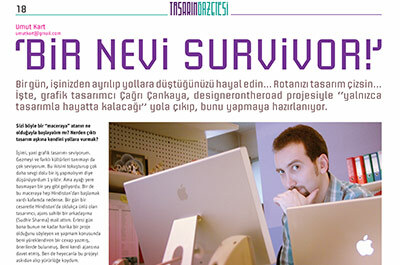 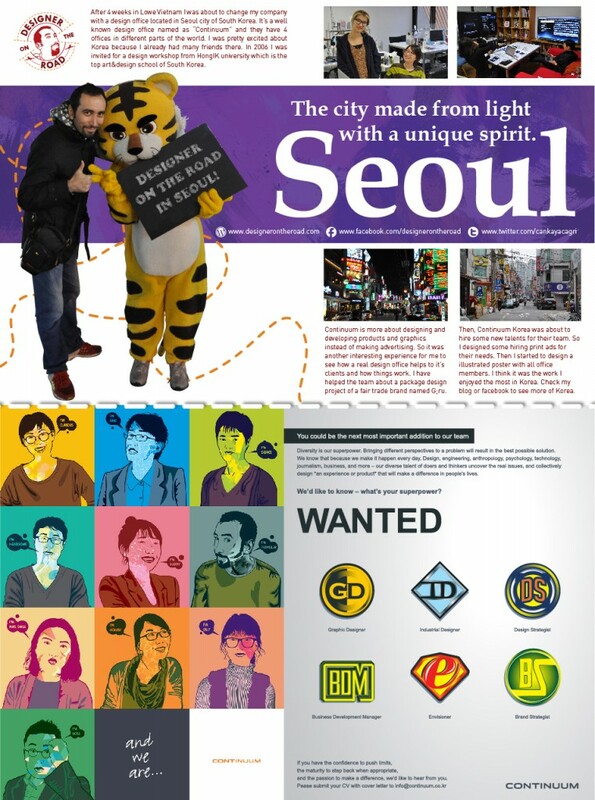 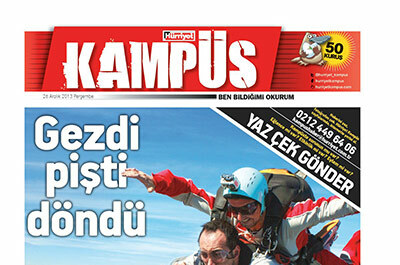 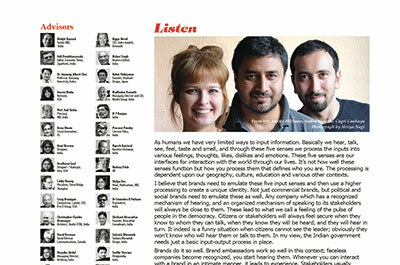 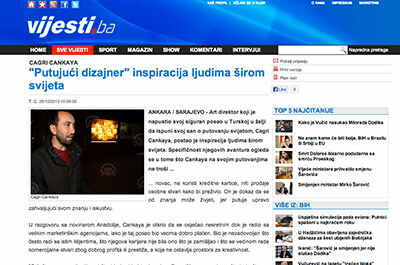 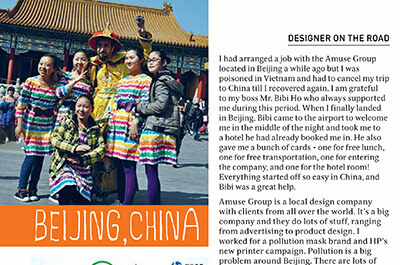 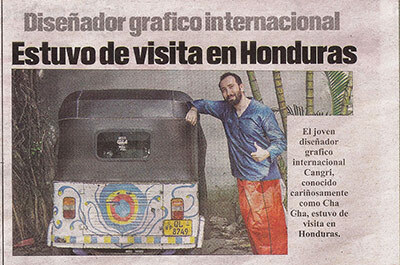 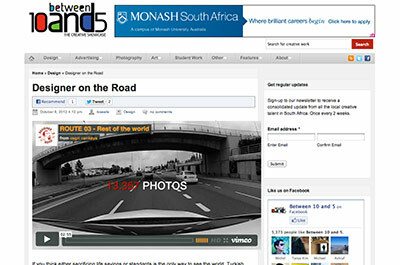 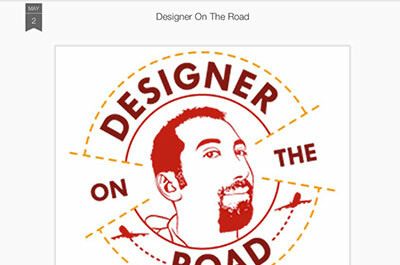 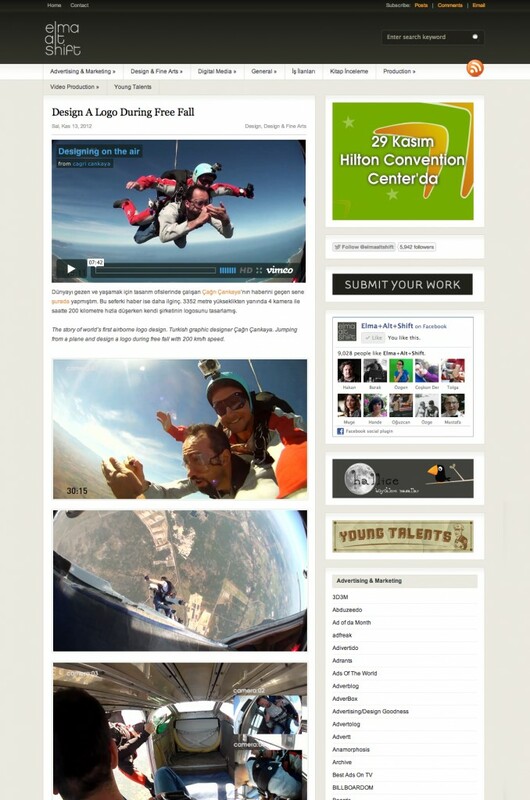 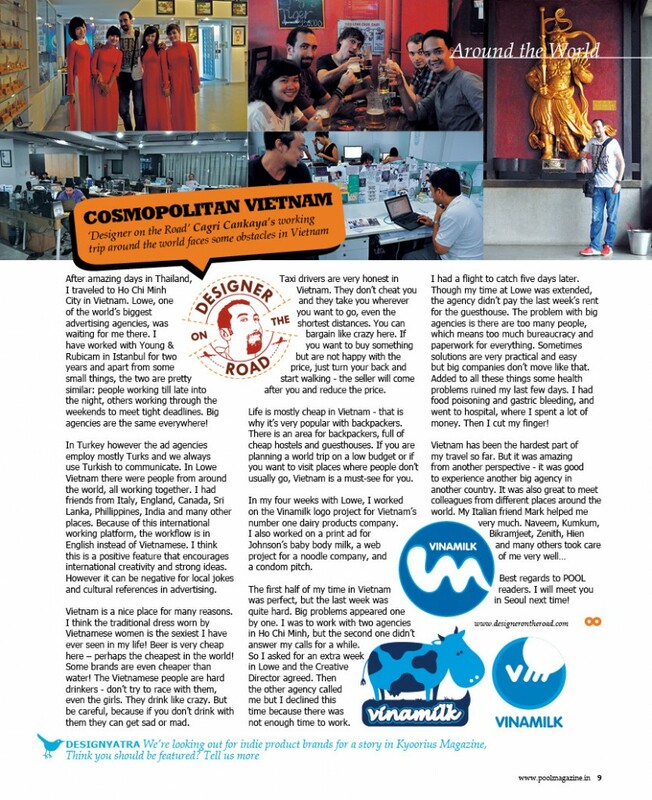 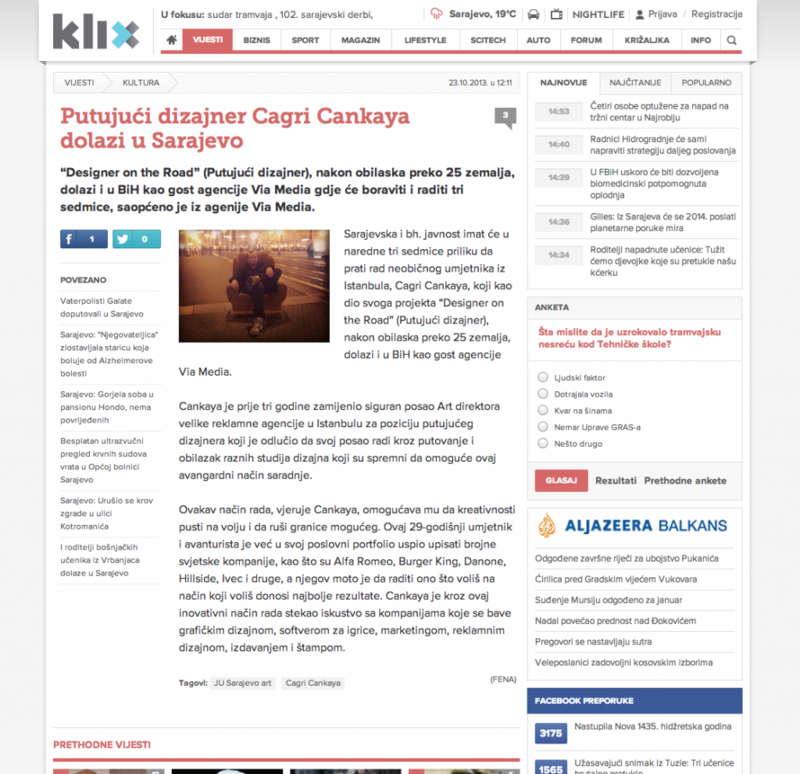 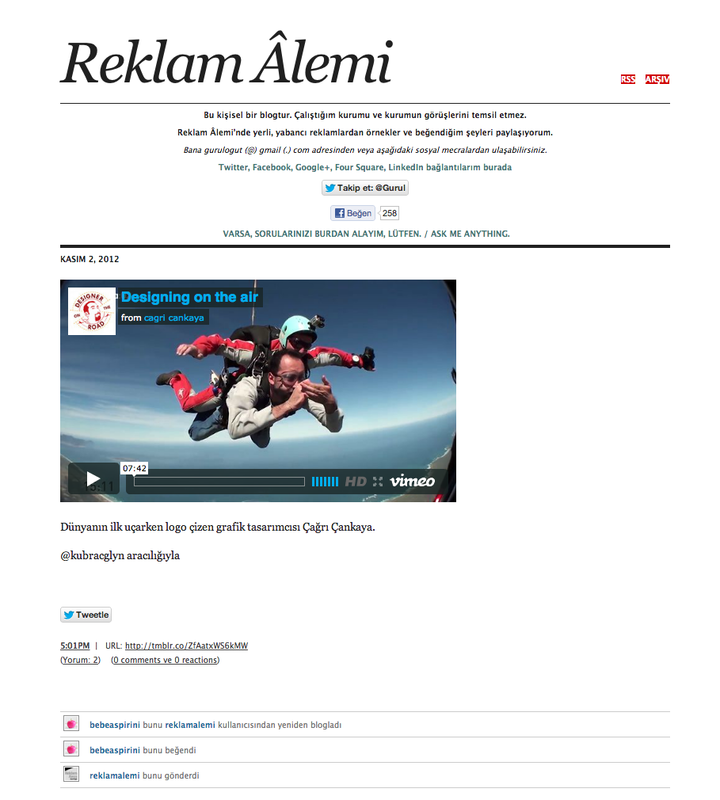 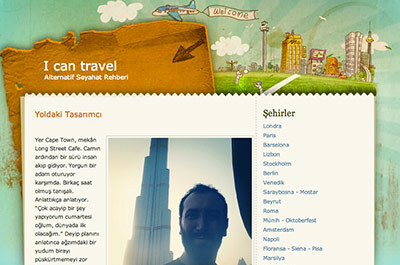 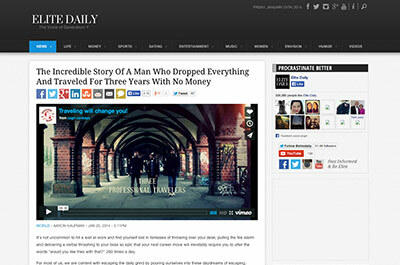 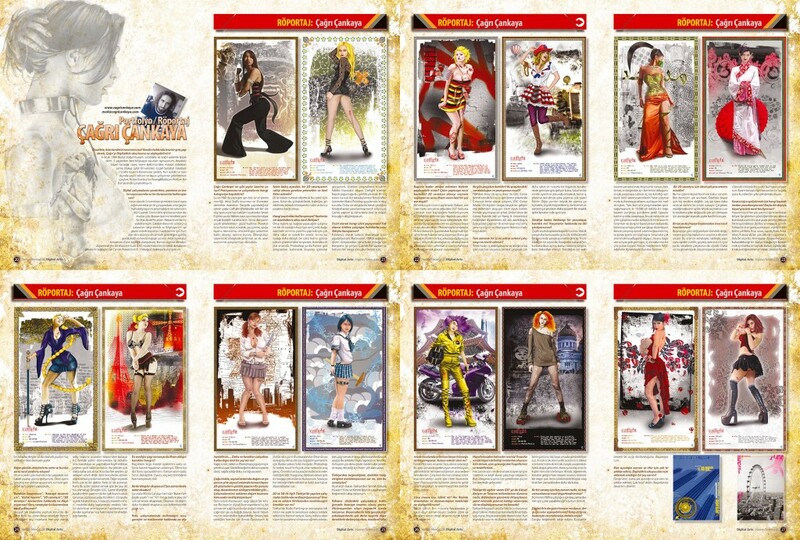 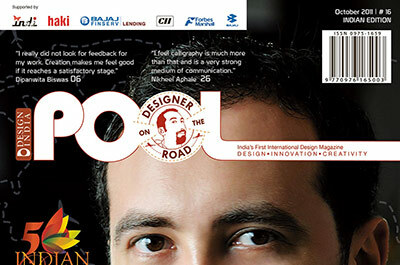 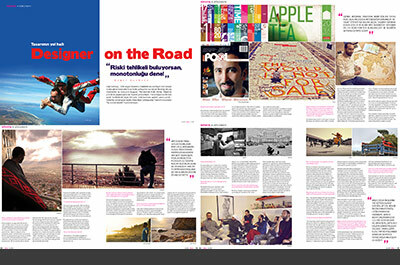 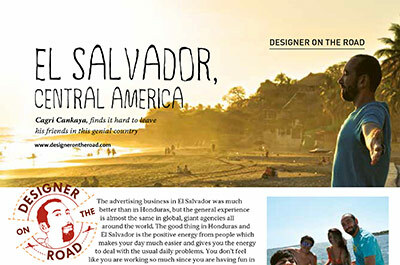 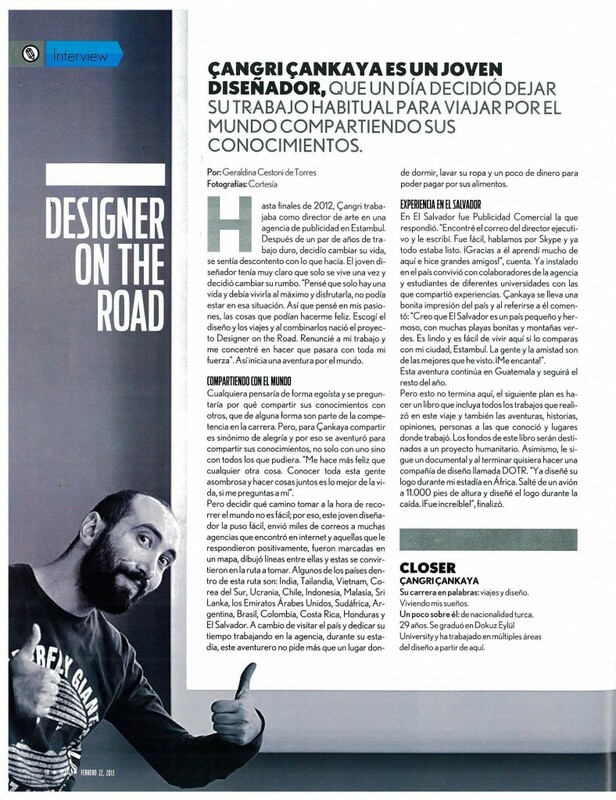 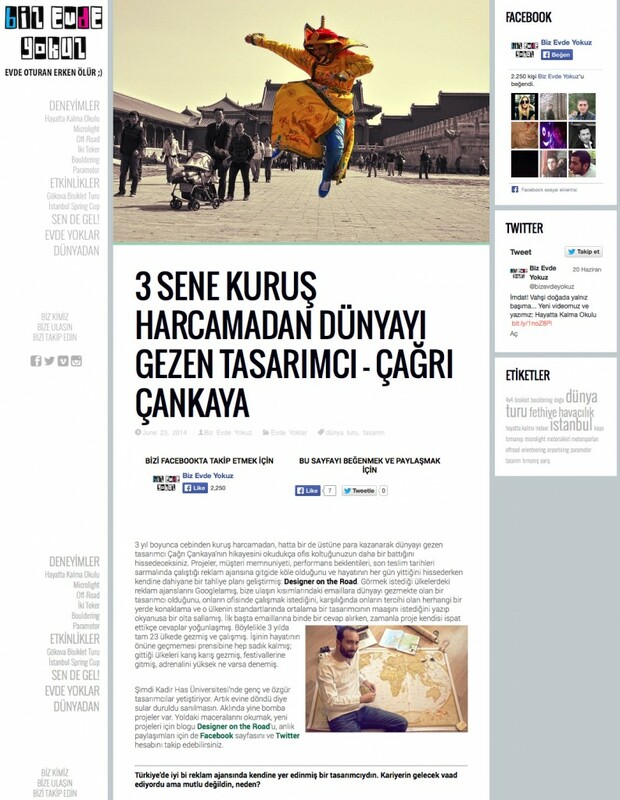 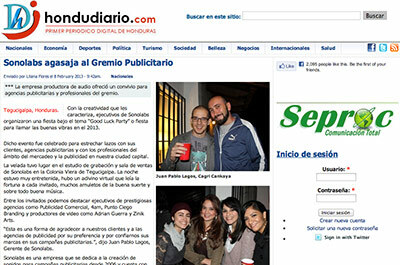 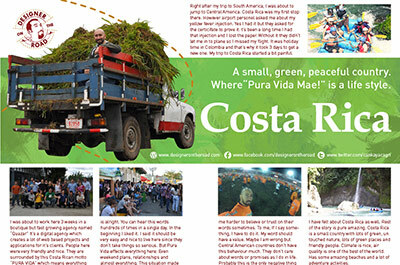 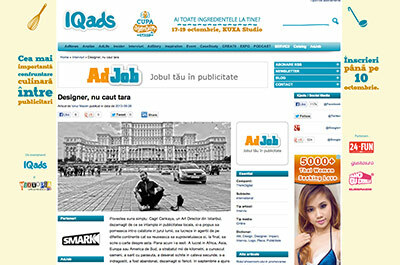 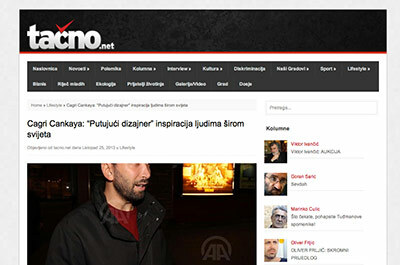 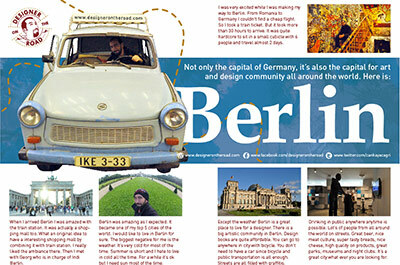 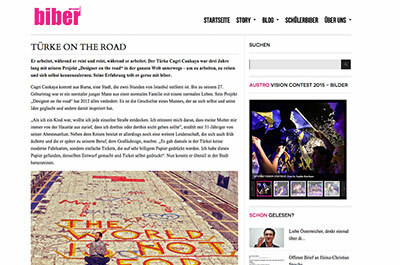 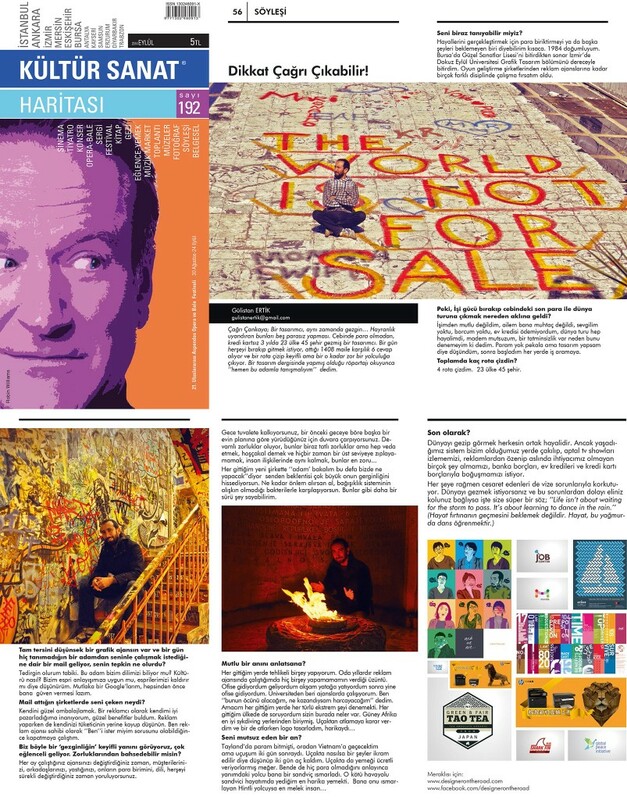 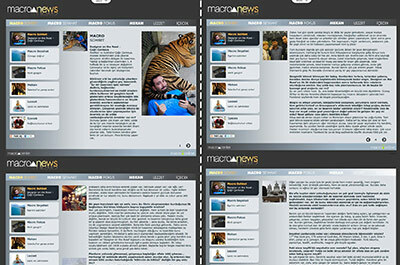 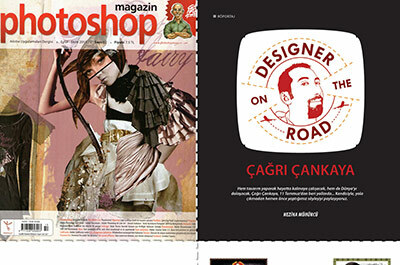 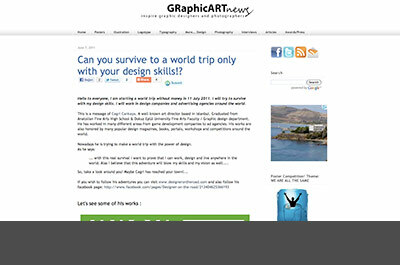 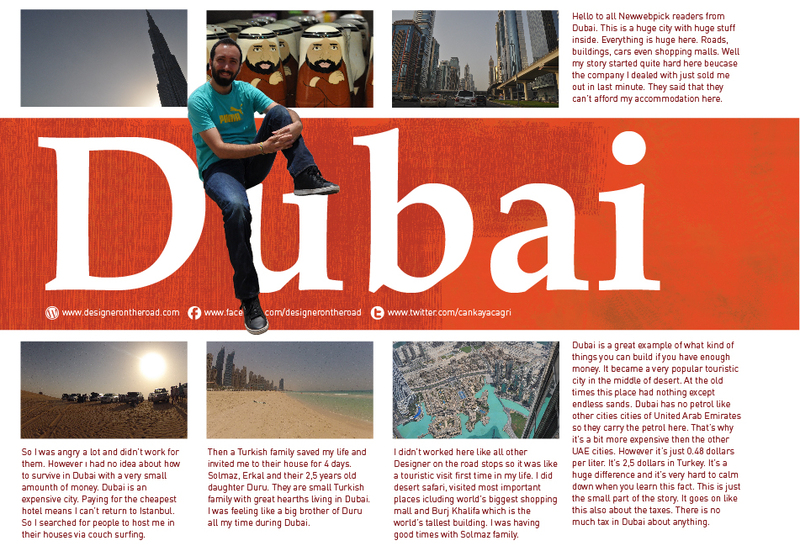 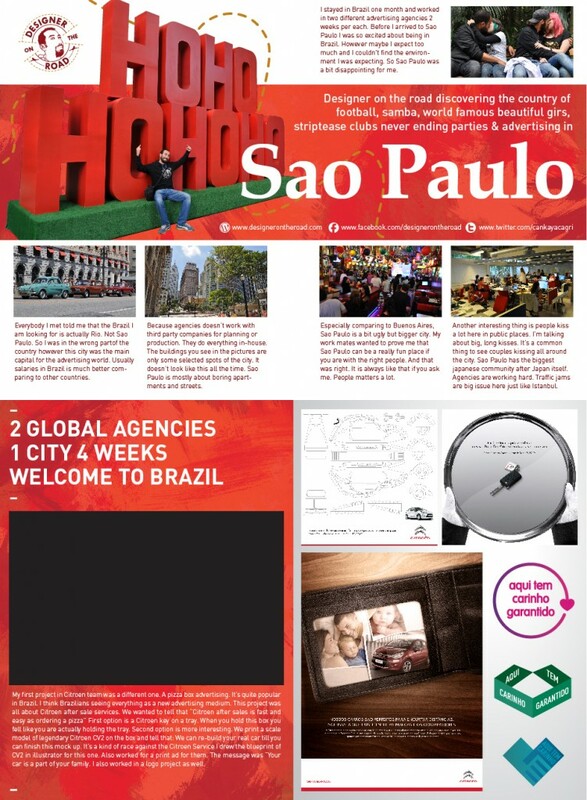 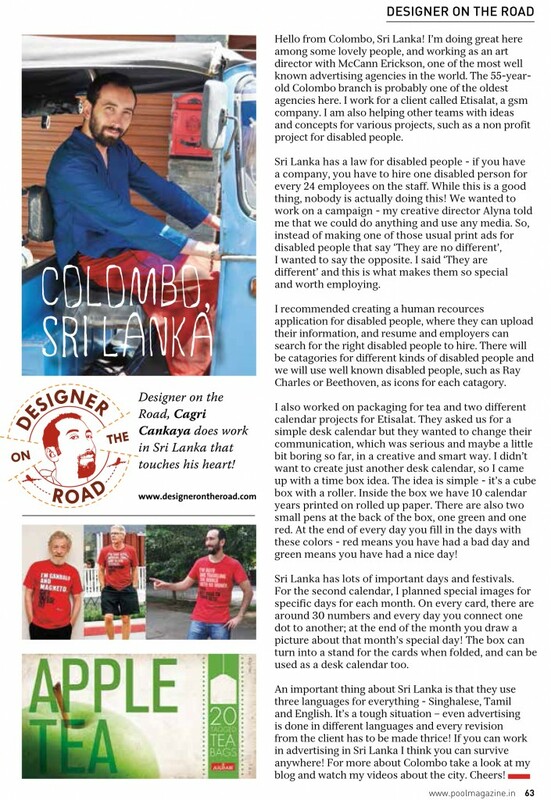 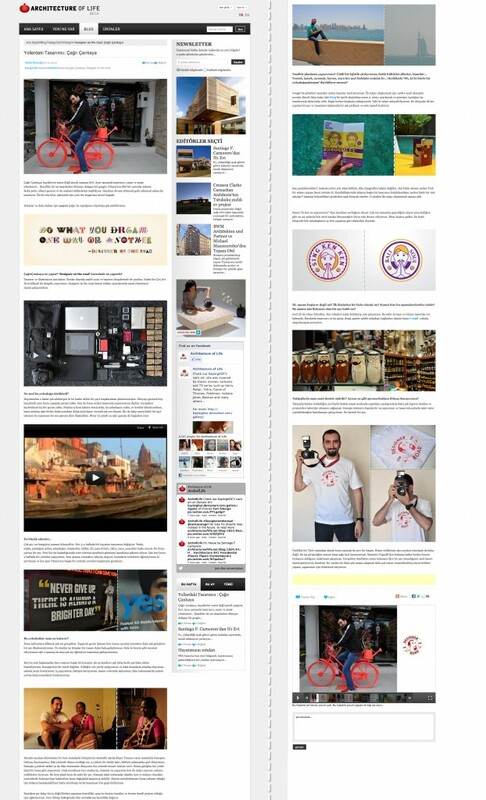 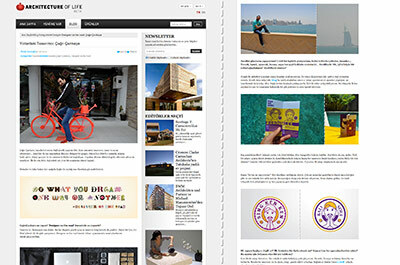 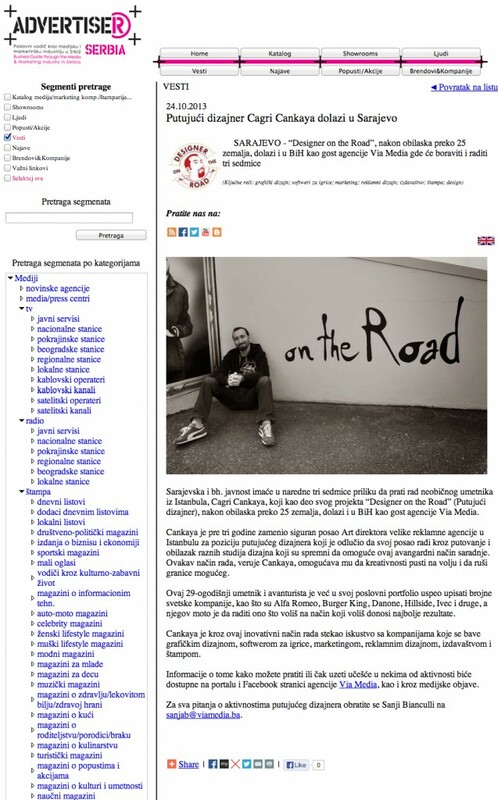 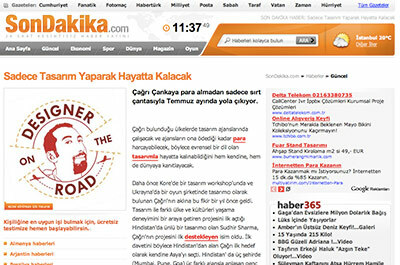 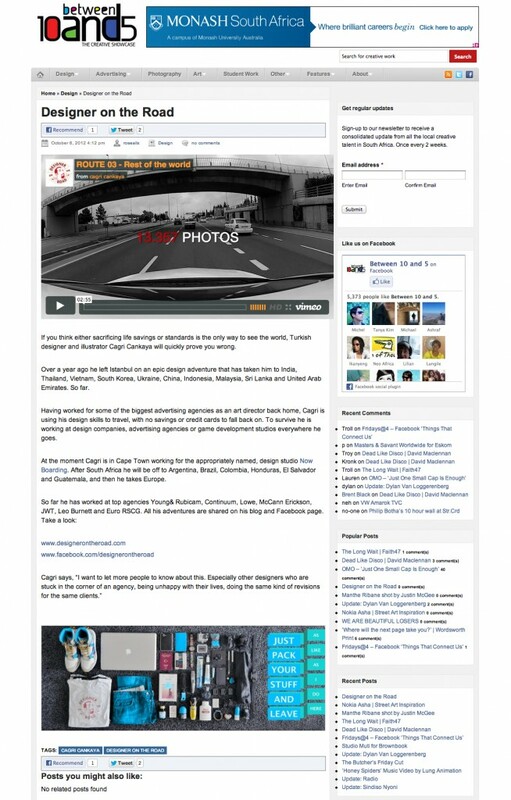 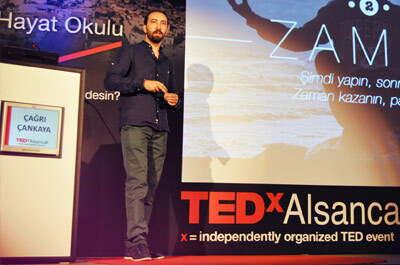 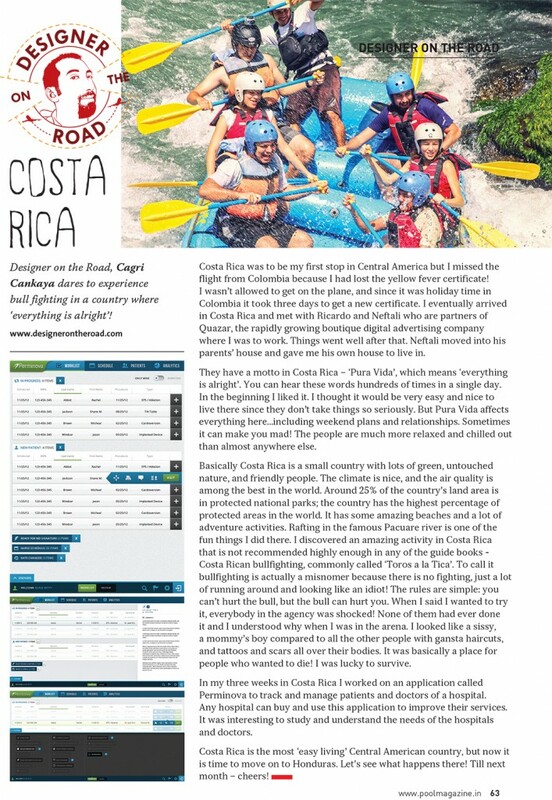 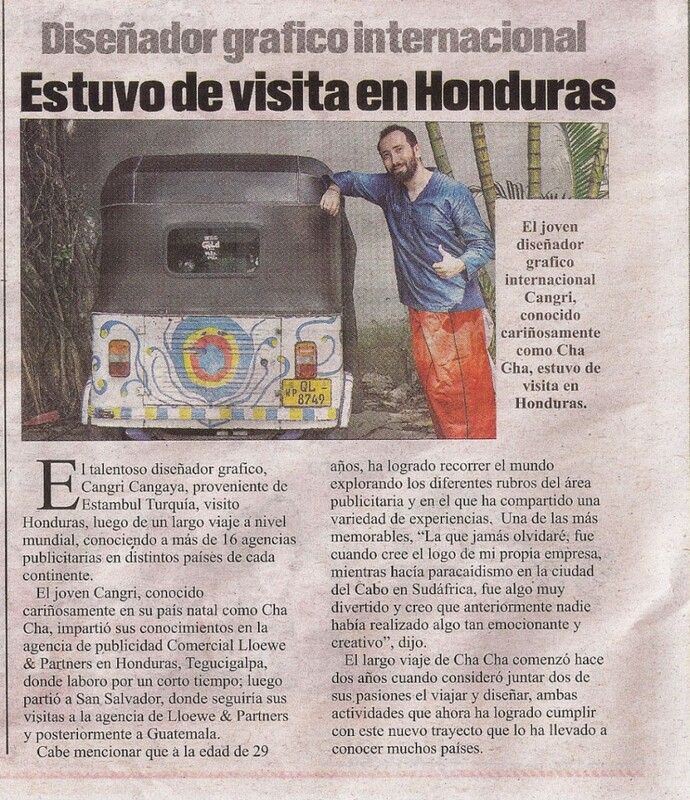 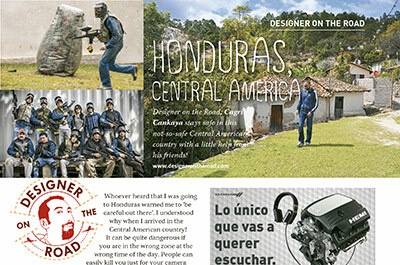 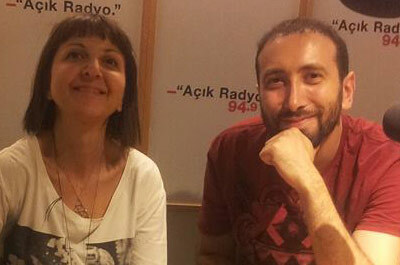 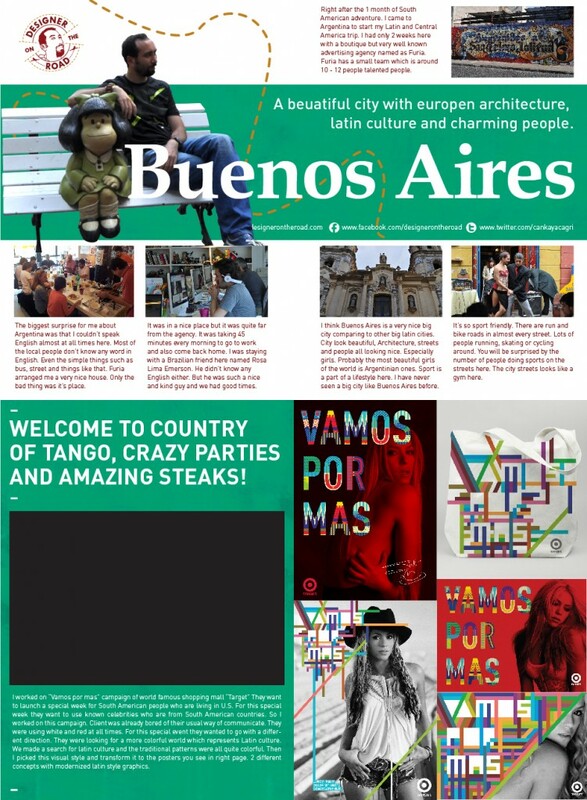 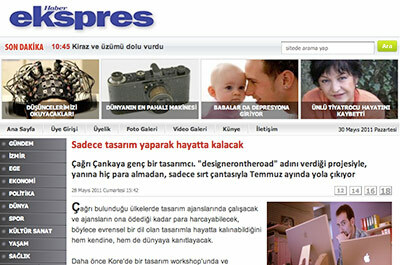 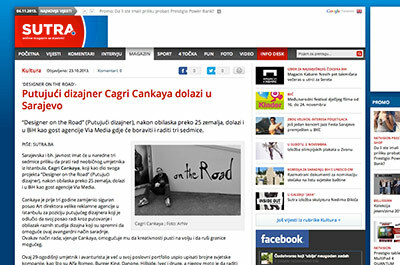 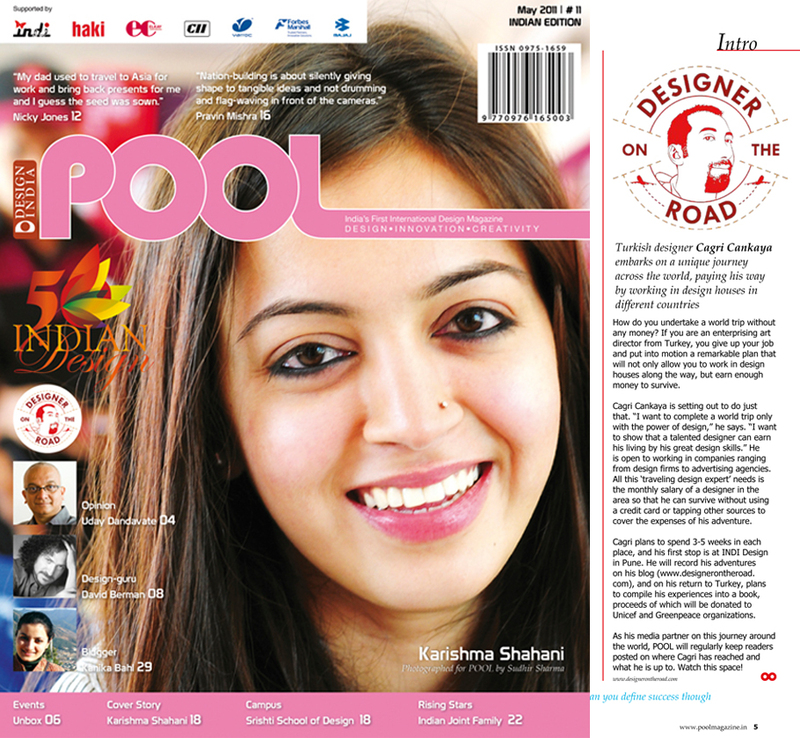 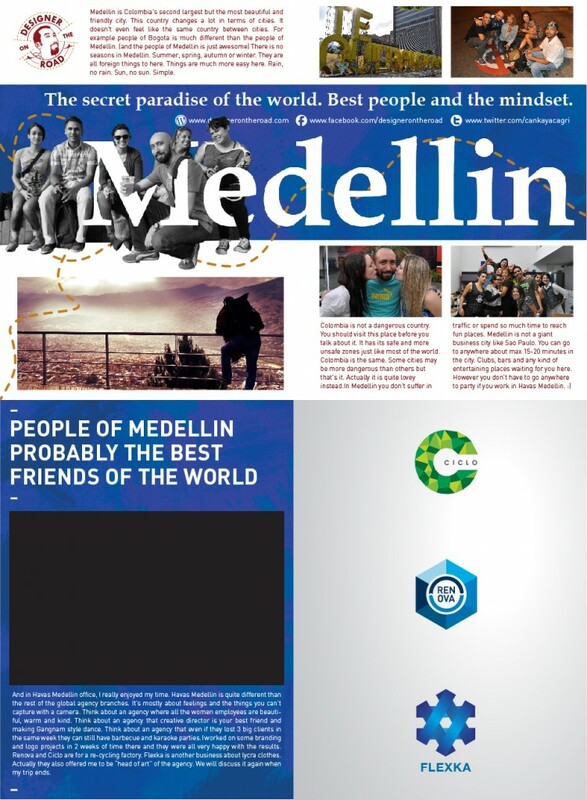 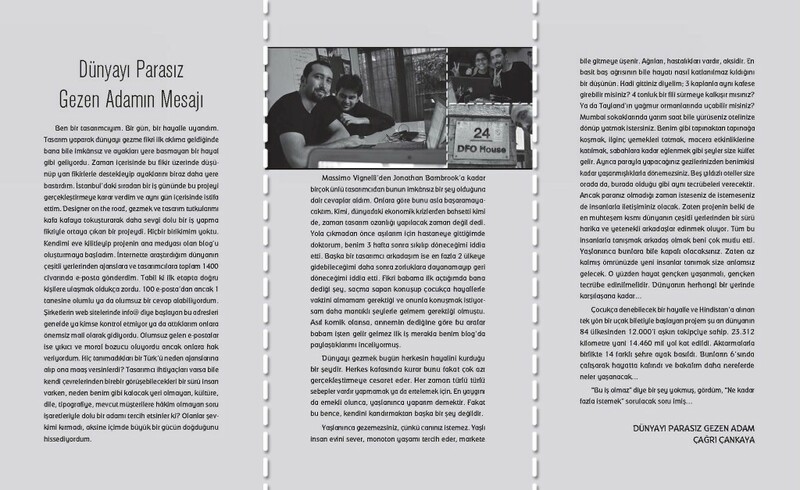 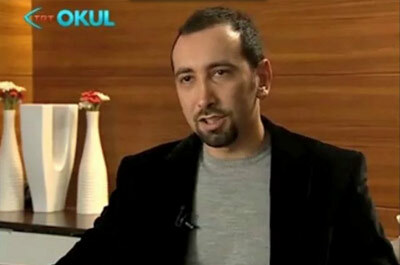 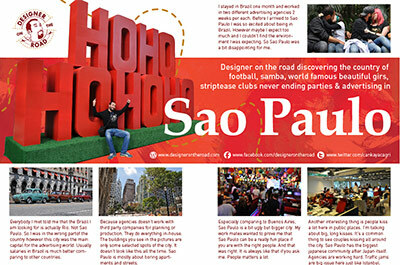 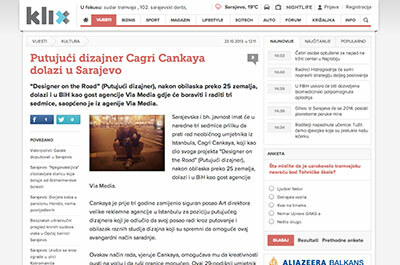 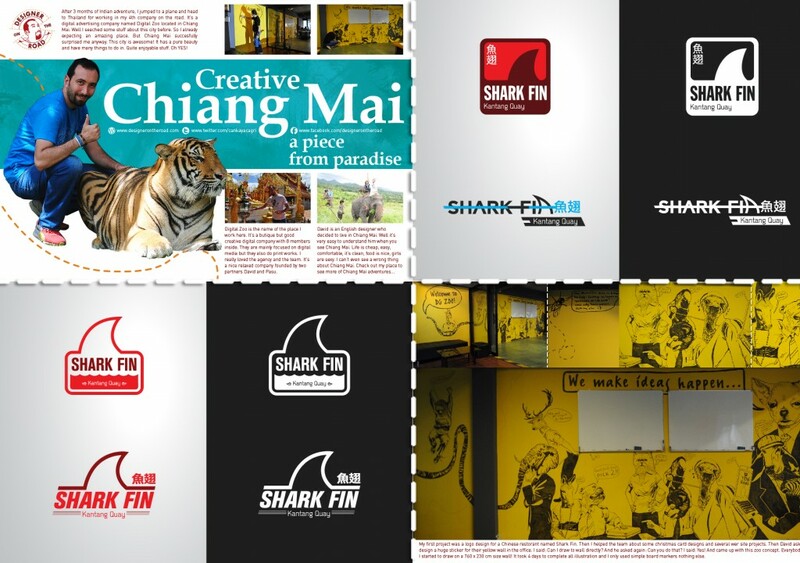 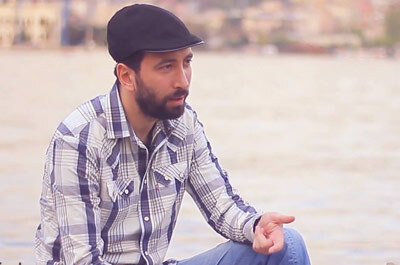 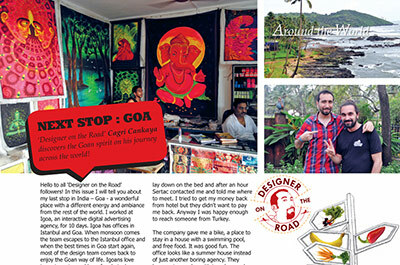 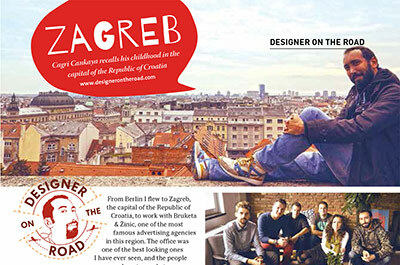 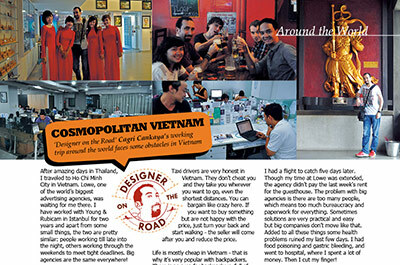 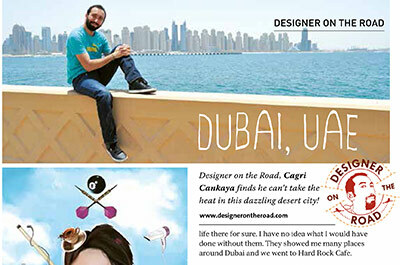 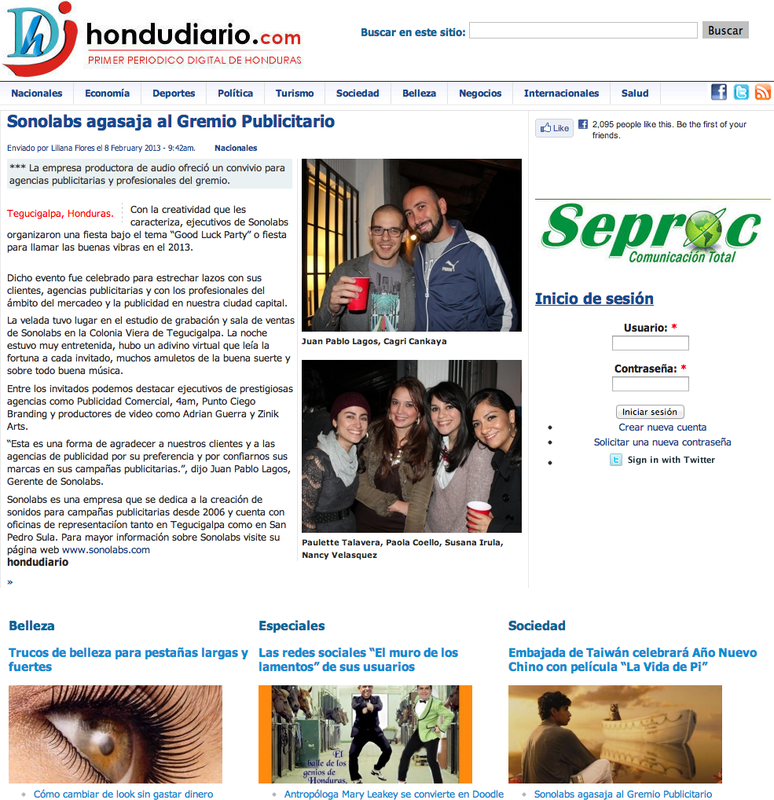 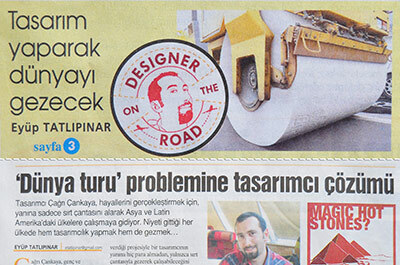 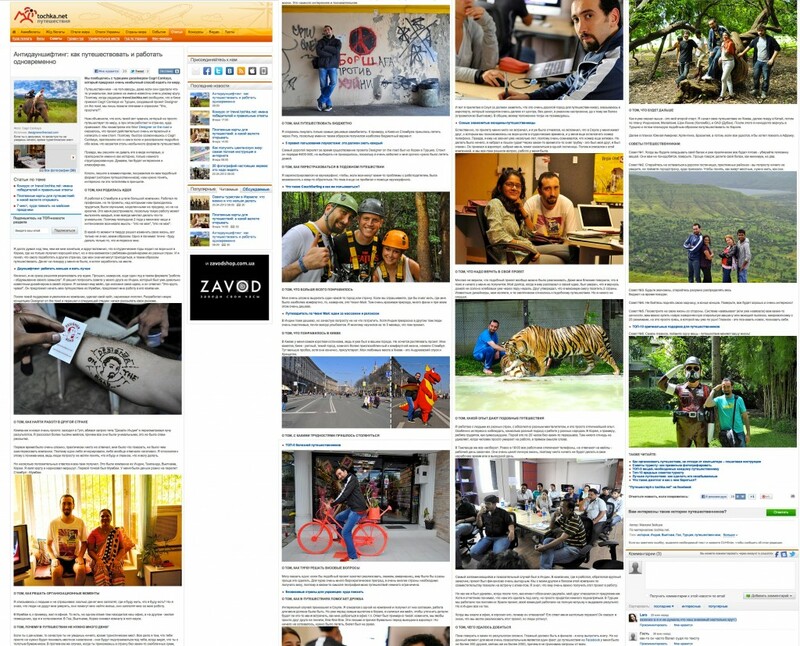 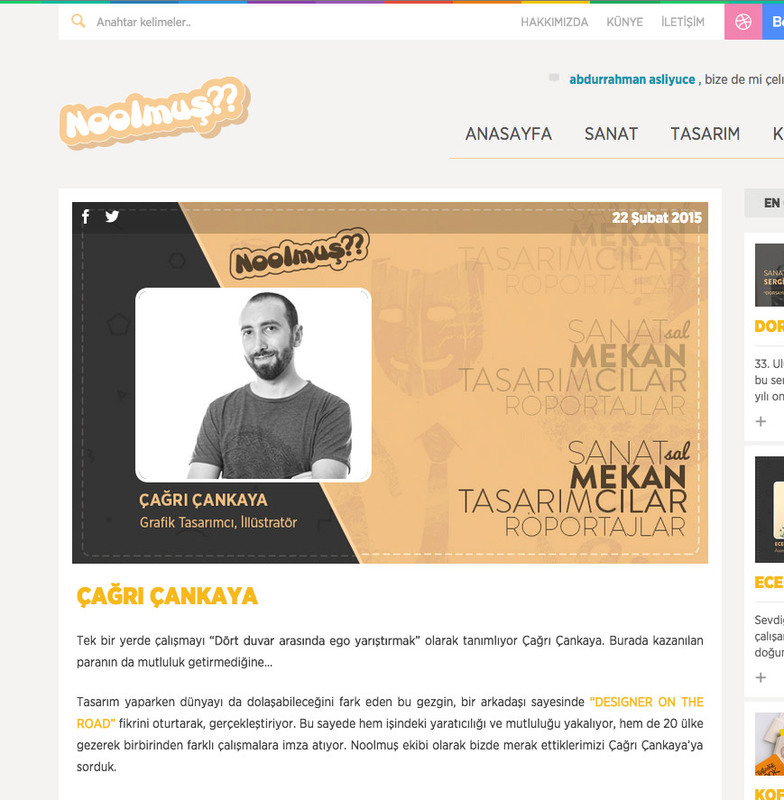 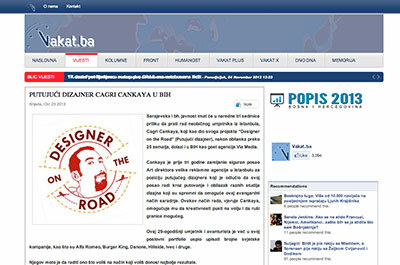 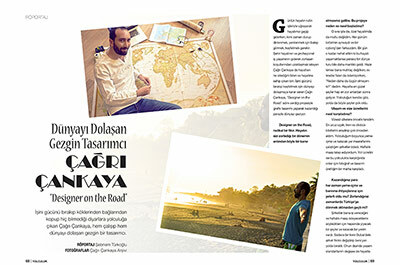 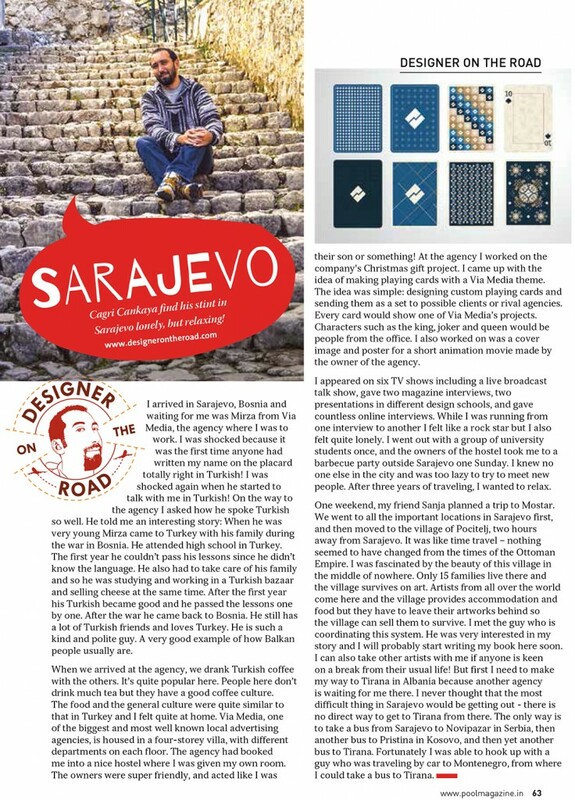 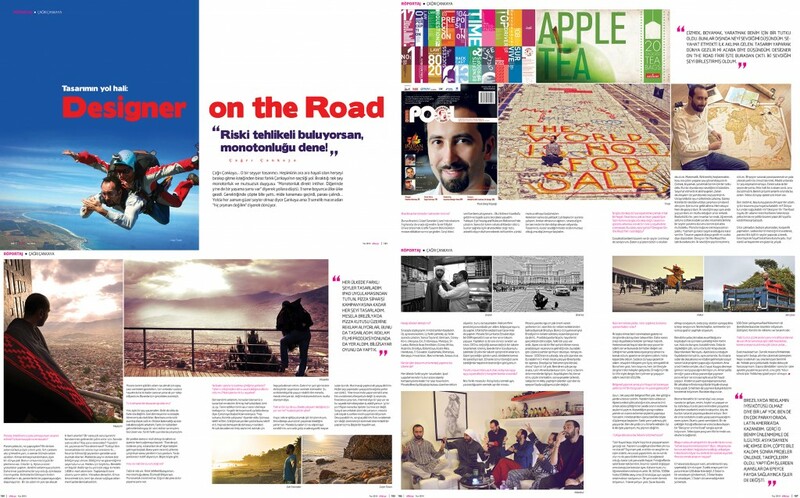 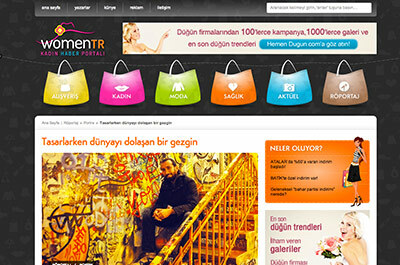 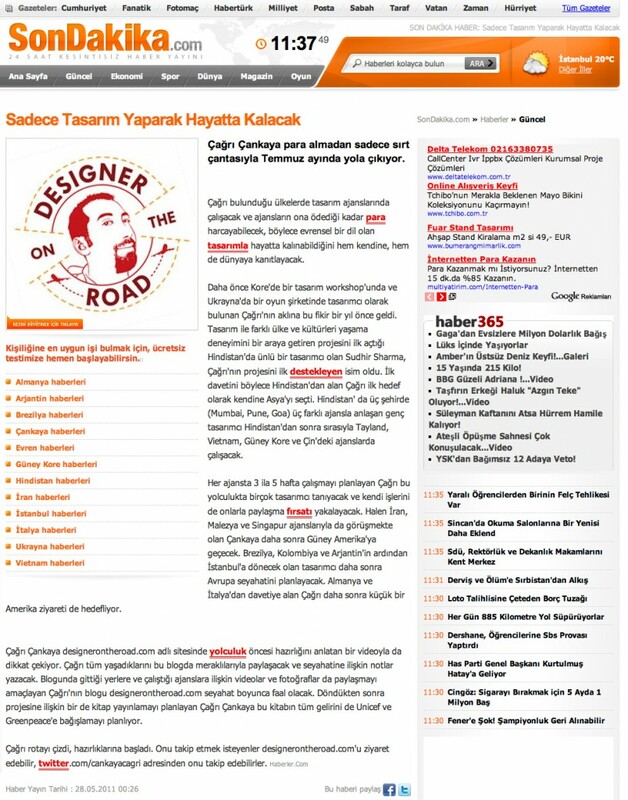 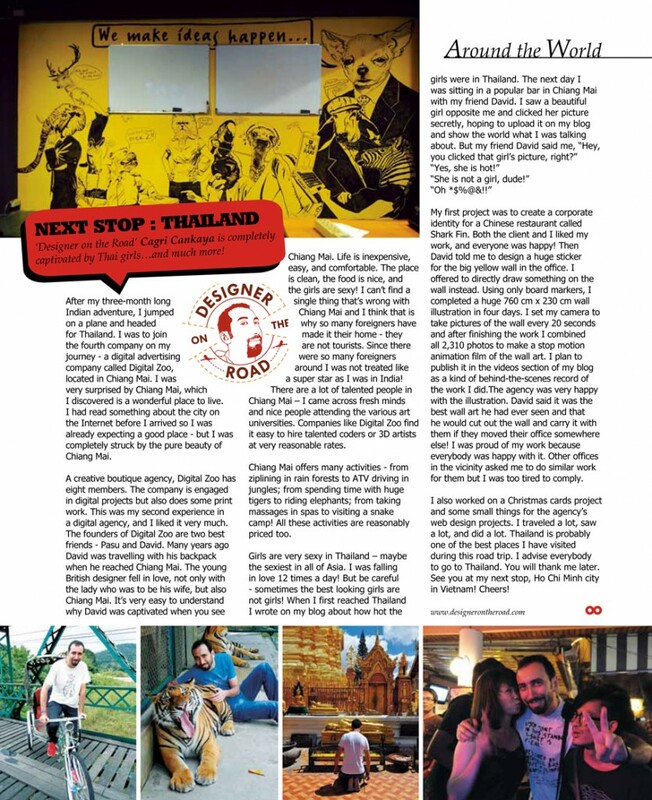 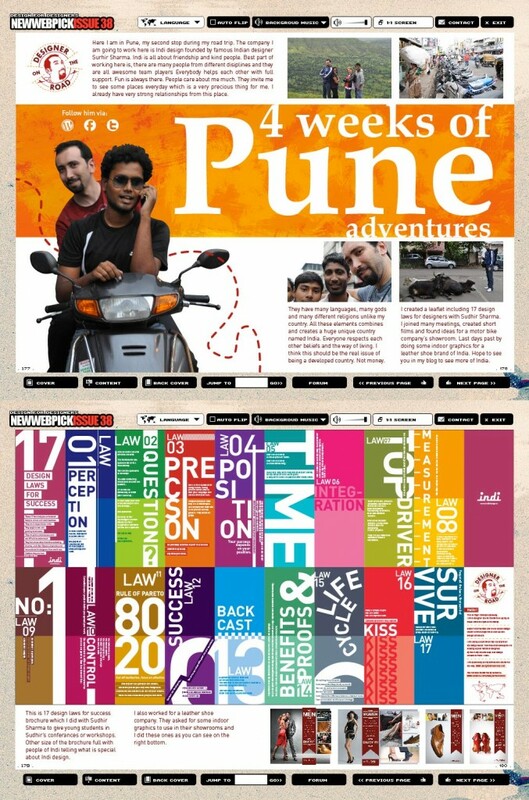 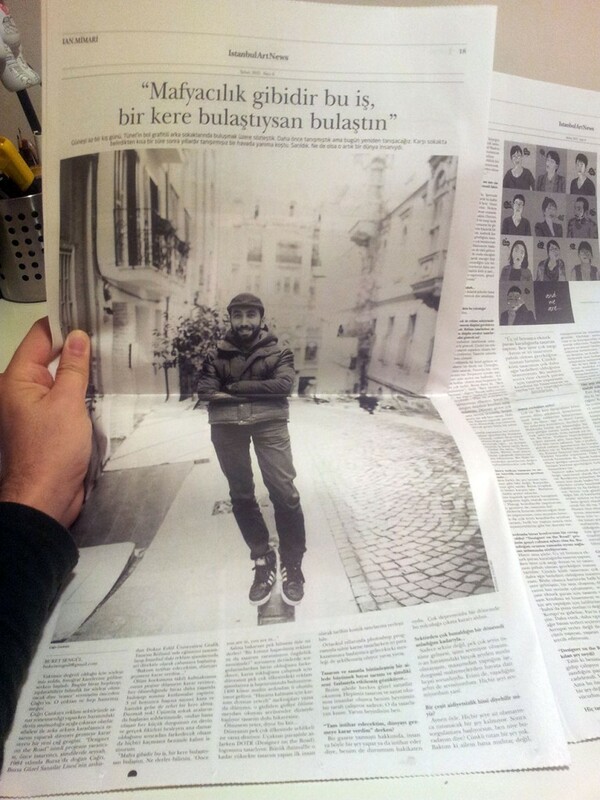 In this page you will see all the previous press publications about me and Designer on the road. 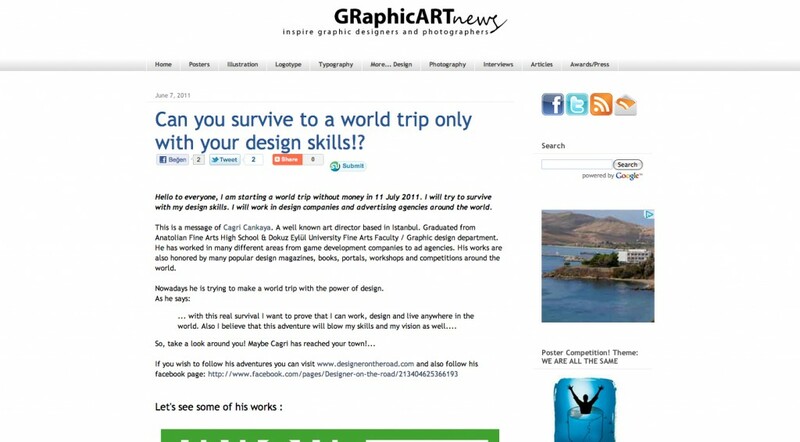 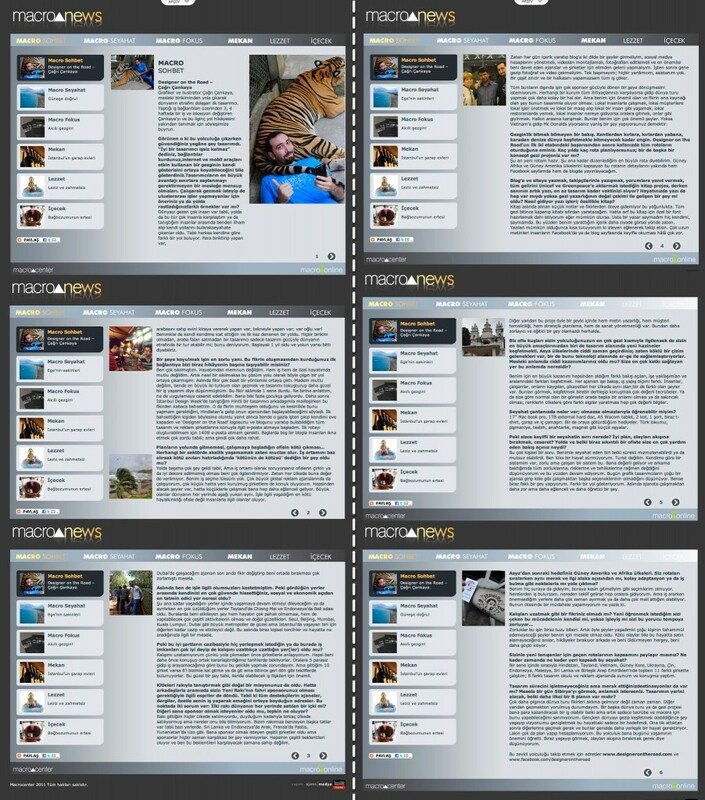 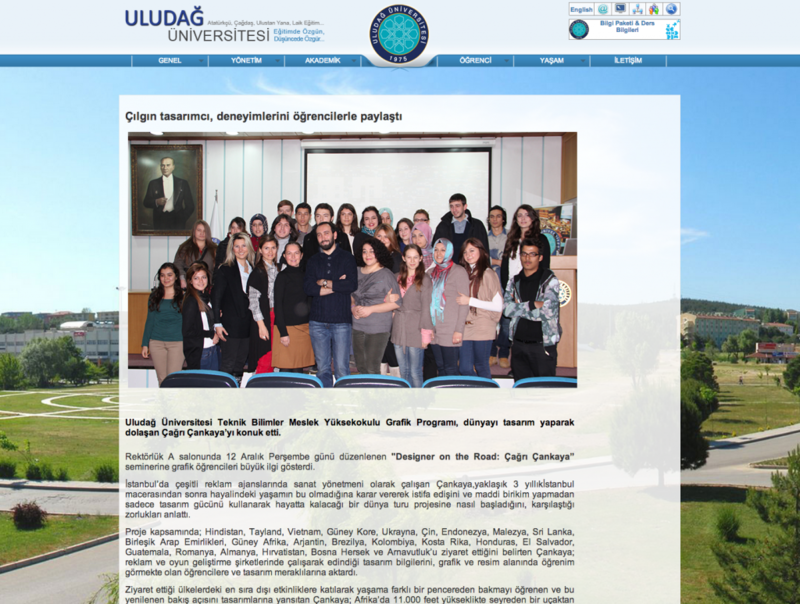 If you are writing an article about me online, feel free to use images of my work on this website if you use proper credits. 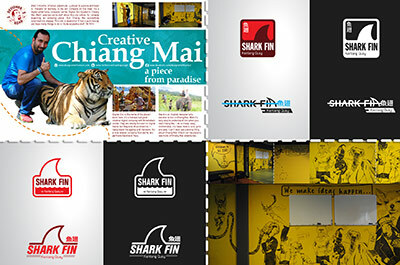 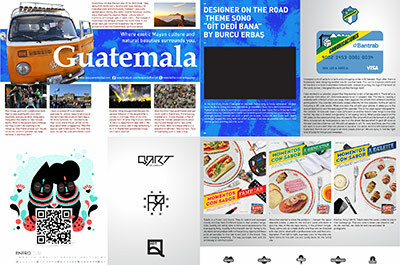 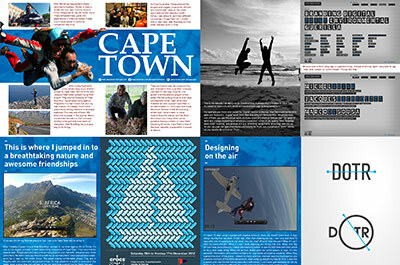 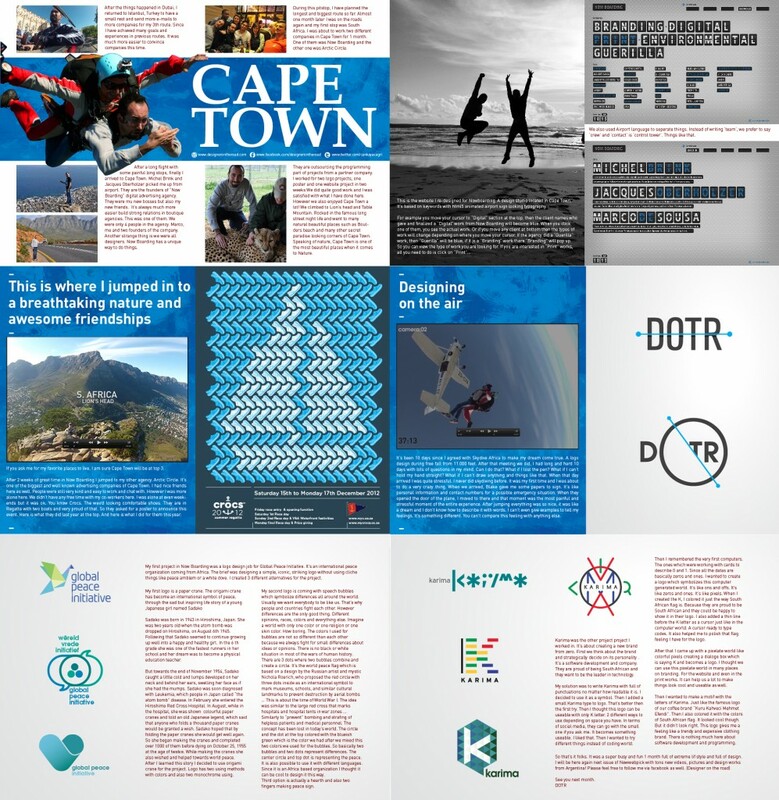 You can download the press kit I have prepared if you need additional visuals for the content.Press kit includes 2048px wide pictures and vector “Designer on the road” and “DOTR” logos. 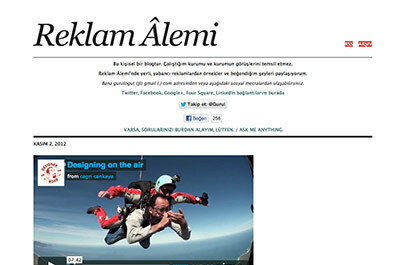 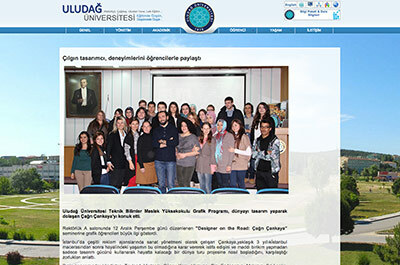 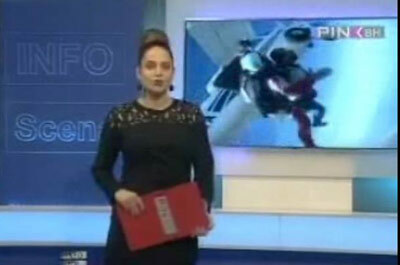 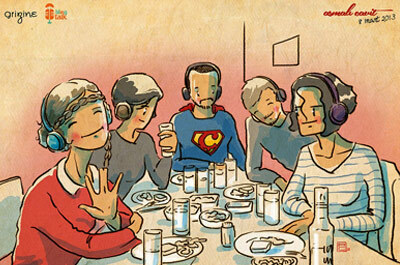 They are fine enough to use online. 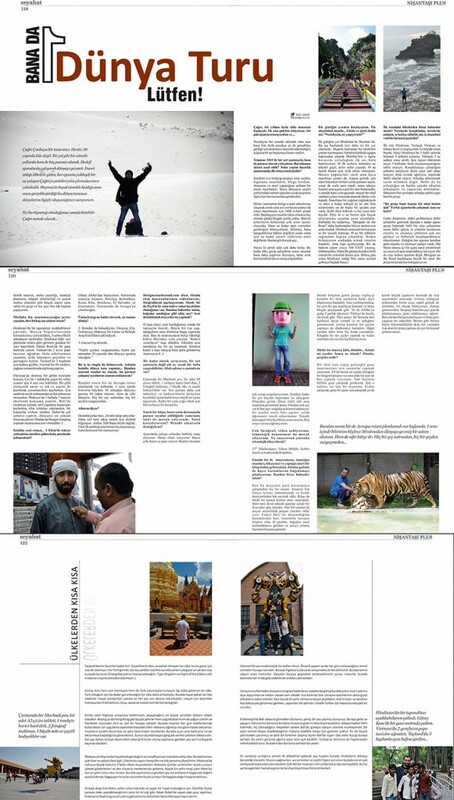 If you would like to feature me in a magazine or book, please e- mail me to ask for higher resolution versions of pictures or works. 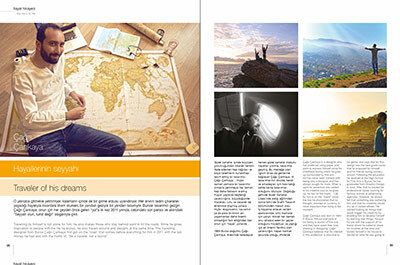 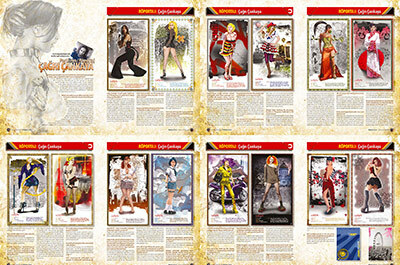 You will receive a link to download visuals in original sizes.Please send me a printed copy of your book, magazine, or newspaper in the mail for me to archive and share here.